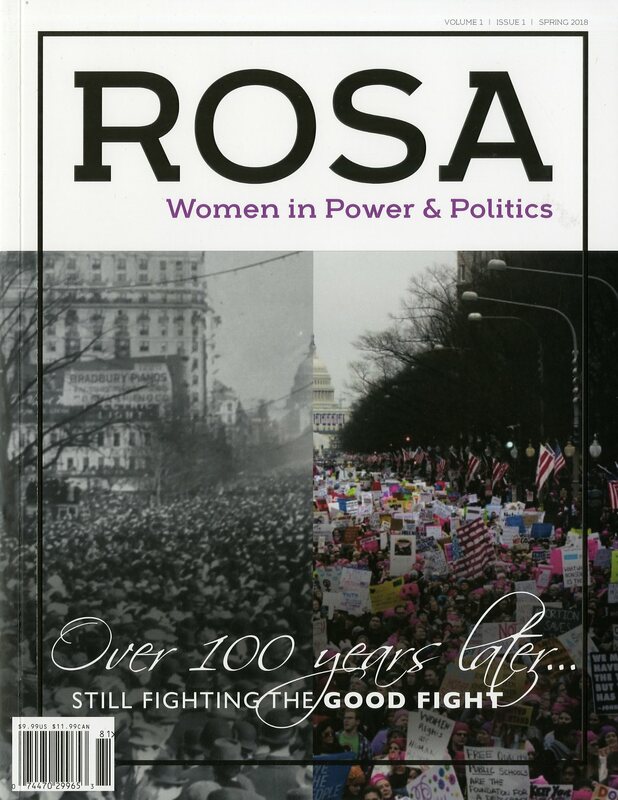 Rosa Magazine is a new title that honors women in power and politics, past, present and future ones. Its goal is to always be non-partisan and simply tell the stories of these important women of history and of those that will someday have a page in our world’s chronicles of time. It’s an arduous goal, but one that Publisher and Editor in Chief, Sandra Long is determined to reach. 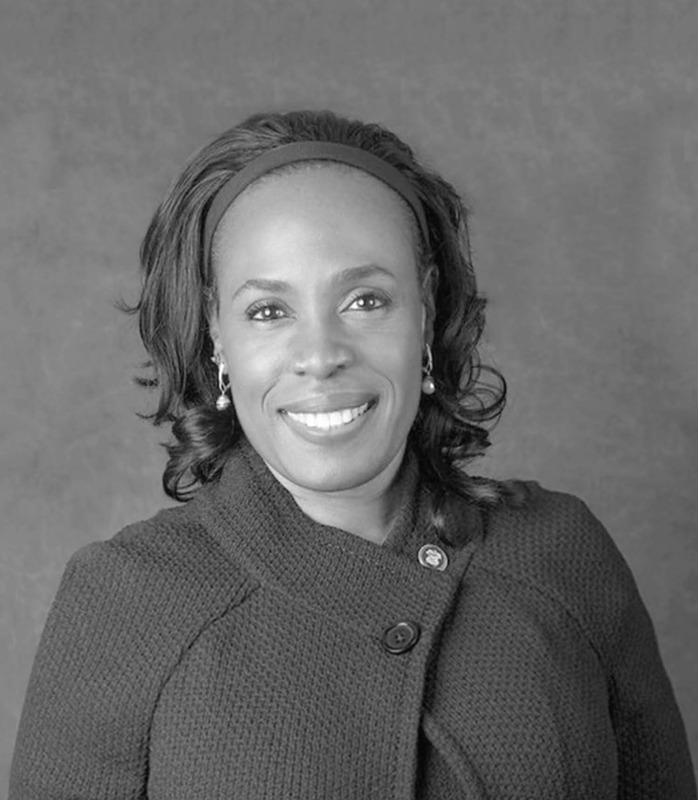 Sandra is a woman who is very much Rosa material herself, having once held the position of Deputy Secretary of the Maryland Department of Commerce, second in command of Maryland’s chief agency on commerce and industry. Her historical appointment marked the first for a woman or African American to this post in America. Quite an achievement and one that certainly qualifies her for the magazine’s tagline: Women in Power & Politics. I spoke with Sandra recently and we talked about this fantastic new magazine that encourages women to make a stand for change in whatever areas of interest they may have. And as Sandra writes in her publisher’s letter in the premier issue: sometimes to change the system and the outcome of issues that we care about, we must hold political office. And as for why she chose print as the perfect format for Rosa, according to Sandra, it’s about the look and feel of Rosa and how that resonates with readers right along with the content. And her firm belief that print is still a viable and prosperous technology for today’s world. So, I hope that you enjoy this Mr. Magazine™ interview with a delightful woman who knows her way around the world of politics and is quickly learning the many facets that make up the magazine universe, Sandra Long, publisher and editor in chief, Rosa magazine. On the genesis of Rosa magazine: Rosa magazine is actually my second magazine, but I started it because I came out of, when I was Deputy Secretary of Commerce, I came out of that political environment and I’ve always been politically active and my family has too. One of my distant cousins served in the United States Congress, Eddie Bernice Johnson from Dallas, and my folks are from Dallas. We just believe in telling good stories, and for Rosa it’s about telling good stories of what women have done politically and how we have impacted everything from the starting of the country to our political system today. I wanted to highlight some of the things that we’ve done in our past and also what we’re doing currently as we look to run for office and impact change. 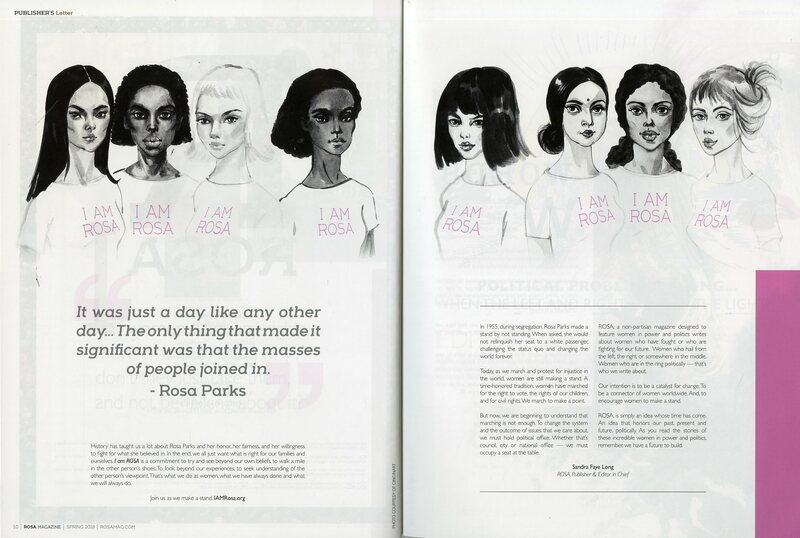 On naming the magazine Rosa: Naming it Rosa was just in the spirit of Rosa Parks, in her image, that honesty and integrity, making a stand for something. And even though it’s not named after her directly, it is in that spirit. We wanted it to be able to tell people that Rosa Parks stood for something against all things. She made a stand. And today when we look at our political environment, it’s the things that we can do; we can make a stand. And it doesn’t have to be rowdy and unruly, but it can be where someone is just making a point. On whether she is not only launching a magazine, but a movement as well: Our intent is to be able to start a movement. We want it to be able to grow naturally and organically; we think the time politically is right now when you look around and see what’s happening. There are more women who are running for office, and so this is probably the best time to launch a magazine around women in politics. I think it can be the beginning of a movement that helps spur more women into political office, locally and nationally. But it’s something that I’m not going to push out into the world, but just let it evolve naturally. And I think it will. I think women will gravitate toward having a magazine that is politically for them. On why she decided on a print magazine: My family has been in print for almost 100 years. My great-grandfather did print and these were the old black newspapers, and my family also owns one of the oldest black newspapers in Dallas today. And so, I’ve always been partial to print. And contrary to popular belief, I do not think print is dead. I think the Internet is so large and there’s so much to search for, it’s still nice to be able to pick up a magazine and read. On which career was easier, being the Deputy Secretary of the Maryland Department of Commerce, being in politics, or being a journalist/publisher/editor: That’s a great question. Really, it’s an easy question, because I’m going to tell you, I really think being deputy secretary was easier than being a journalist and a publisher. It’s difficult, because you have to try to understand your marketplace and who you’re writing for, you have to get the story right. We have to engage writers of all backgrounds, there is a lot to it, and that’s just the editorial side. I know I’m preaching to the choir here, you already know all of this. There are so many moving parts to it. On whether she can really keep Rosa magazine non-partisan: The mission of Rosa is to definitely be non-partisan, to write about both sides of an issue and leave the readers to make their own decisions. We’re not trying to lean them either way, which honestly is the difficult part. And I’ll give you a great example. In the inauguration issue we had a story about political rhetoric and in that we just happened to use President Trump and the gentleman who started this big thing on political rhetoric, we used those two photos. And I’ll tell you, we did get some emails about using those, but had they read the story instead of just thinking that we were making a play after President Trump, they would have found that we were not. But he is a master at political language; he is a master at that and you have to give him that. So, I think it’s going to be hard, a very difficult task. On what she hopes to say about Rosa magazine after the next 12 months: That’s a great question. I sit and think about what impact Rosa can make over the next 12 months, because we’ll be knee-deep in looking at that next presidential election; we’ll be approaching 2020. So, the impact that we want to be able to have, that I think Rosa will have, is to be able to bring women together, to say here is a magazine that has stories with women in political office, whether they’re running or whether they’re in their communities, what are they doing politically, and that they will see Rosa as a connector across the country. If we have done that and done that well, then we’ve accomplished what the mission of Rosa is meant to be. On the largest stumbling block she thinks she’ll have to face: Here is the largest stumbling block, because sustainability in any effort, any venture, is key. Once you feel like you’re hitting your niche, then how are you going to sustain that? For us, one of the toughest challenges is that sustainability looks like advertising, because there is only so much self-funding that I can do. And we’re going to need to get advertisers; we’re going to have to take on people who are experts in the industry to be able to help us get the right advertisers. On the most pleasant moment so far: The most pleasant moment was actually getting the magazine in my hand and being able to turn that page when it came from the printer, and just to look and ask was this the intent when we put this into print? Our designer, Matt Williams, is just brilliant, and when we turned that page, I have to tell you, I felt like it was a great nod to the women of our past and to the ones that are now, I think it was a job well done. That was an exciting moment. On why she chose to publish in Nashville: Nashville, for me, is home and I know a lot of people here. And it’s a growing city. Nashville in its heyday was a publishing city and we had Printer’s Alley. We did a lot of the major magazines and we still do a lot of work on major magazines in print. I know some people might say that we need to be in New York or in Washington, but we can get there from Nashville, Tenn. I think it’s just a different mindset in Nashville. And it’s also, for lack of a better word, it’s always been my spiritual center. And so when I come to Nashville, I get clarity on what it is I feel like I’m supposed to be doing to impact the world personally. On what someone would find her doing if they showed up unexpectedly one evening at her home: I’m doing one of two things, I’m either on Texture looking at magazine design, because that’s one of the things that I just love and it relaxes me. I just want to look and see what other designers are doing, it keeps us creative. And I’m probably watching some girly show – Real Housewives or something, if I’m not reading. But I have to tell you, to relax sometimes I’m watching some kind of reality TV show. I’ll indulge for at least an hour, so you’ll find me doing those things for sure. On how she would like to be remembered: Probably service to mankind. I want to be known for service, that’s all I want to be known for. That I just wanted to serve people in the particular way that God gave me with my skillset, because there are some things that I’m not good at and most people who know me will tell you. (Laughs) Oh no, Ms. Long, she’s not good at that. (Laughs again) Or she’s successfully good at this; I am good at concepts and implementing. But it is always to be of service. So, if there’s anything I want people to remember about me or to be etched in stone or in the brains of people, that’s what I’d like to be remembered for. On what keeps her up at night: There isn’t a lot that keeps me up at night, because from the moment that my feet hit the ground in the morning, I know what I’m supposed to be doing and I’m running hard every, single day, so by the time I get to sleep, I am a sound sleeper. There’s not anything that I’m really concerned about other than just making sure that I am doing all that I can do to give the magazine the right voice and the right life that it deserves. Nothing lasts forever, there’s a time and a season for everything. I just happen to think that this is Rosa’s season. That this is the time for a magazine of this caliber and with this target and mission. And now the lightly edited transcript of the Mr. Magazine™ interview with Sandra Long, publisher/editor in chief, Rosa magazine. Samir Husni: Congratulations on the launch of Rosa magazine. You’re a woman of many accomplishments and now you’re diving into the world of magazines and journalism. Tell me about Rosa. Sandra Long: Rosa magazine is actually my second magazine, but I started it because I came out of, when I was Deputy Secretary of Commerce, I came out of that political environment and I’ve always been politically active and my family has too. One of my distant cousins served in the United States Congress, Eddie Bernice Johnson from Dallas, and my folks are from Dallas. We just believe in telling good stories, and for Rosa it’s about telling good stories of what women have done politically and how we have impacted everything from the starting of the country to our political system today. I wanted to highlight some of the things that we’ve done in our past and also what we’re doing currently as we look to run for office and impact change. Samir Husni: Can you reconstruct that a-ha moment when you decided to call the magazine Rosa? How did the name come into being? Sandra Long: That’s a great question. Even though we just launched this past March, I probably had the idea over two years ago and probably longer than that, but I just wasn’t in a position to understand what Rosa really was, you know you have to decide and define what is it. What kind of stories are you going to tell? So, even in my soul-searching about designing the magazine and what the format was going to be, it took a while. So, we’ve had the idea for a while. 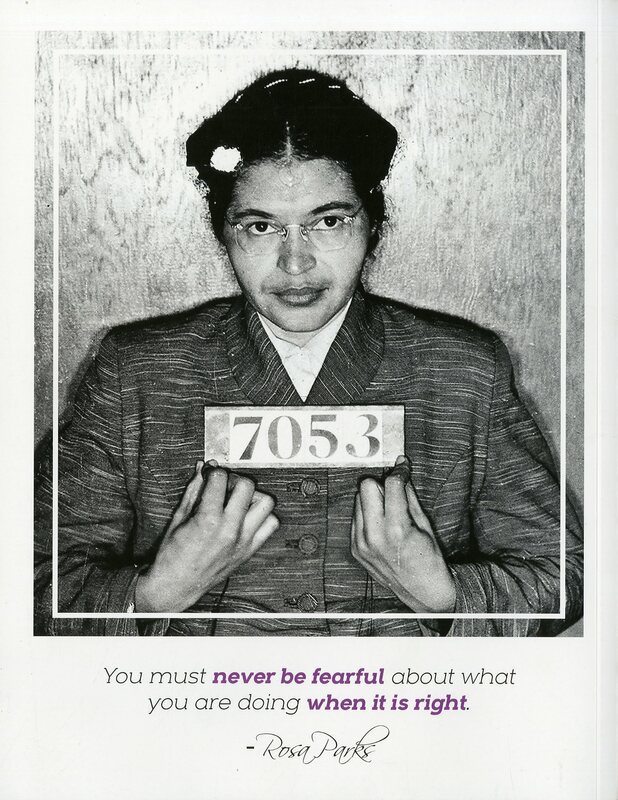 Naming it Rosa was just in the spirit of Rosa Parks, in her image, that honesty and integrity, making a stand for something. And even though it’s not named after her directly, it is in that spirit. We wanted it to be able to tell people that Rosa Parks stood for something against all things. She made a stand. And today when we look at our political environment, it’s the things that we can do; we can make a stand. And it doesn’t have to be rowdy and unruly, but it can be where someone is just making a point. So, I decided to name the magazine Rosa because I think it has substance, that name in and of itself, what it means has substance. I just wanted women to have a magazine that represented them, and it’s non-partisan. I wanted this to be a voice for women, for them to be able to express themselves politically and with issues that relate to that. So, that’s how I laid the foundation. Sandra Long: Our intent is to be able to start a movement. We want it to be able to grow naturally and organically; we think the time politically is right now when you look around and see what’s happening. There are more women who are running for office, and so this is probably the best time to launch a magazine around women in politics. I think it can be the beginning of a movement that helps spur more women into political office, locally and nationally. But it’s something that I’m not going to push out into the world, but just let it evolve naturally. And I think it will. I think women will gravitate toward having a magazine that is politically for them. We’ve done tests for all of these different age groups, the younger – the millennials, and I will tell you that it’s really amazing to see the reception from each one of those age groups, even the millennials. And we’re proud of that. So, to answer your question, we sure hope it starts a movement, but we’re going to just naturally let it happen. And I think social media, as we all know, gives us that great presence. You can build a movement online, and I think we’ll do a lot of that. Now, we’ll need help to be able to do it, but we’ll definitely lay that foundation for that. Samir Husni: Why did you decide to publish a print magazine? Sandra Long: There are two reasons. Number one, my family has been in print for almost 100 years. My great-grandfather did print and these were the old black newspapers, and my family also owns one of the oldest black newspapers in Dallas today. And so, I’ve always been partial to print. And contrary to popular belief, I do not think print is dead. I think the Internet is so large and there’s so much to search for, it’s still nice to be able to pick up a magazine and read. And because I am partial to print magazines, I still think there is a market for them. And when we had women pick it up, the look and feel of Rosa resonated with people and to be able to turn that page was important. Women still buy magazines, whether it’s fashion or, as we hope, political, they’re still buying magazines. I was firm that it had to be print. We will transition to do a little bit online, just to be able to feed that marketplace. But we’ll do print as long as they are supporting it. 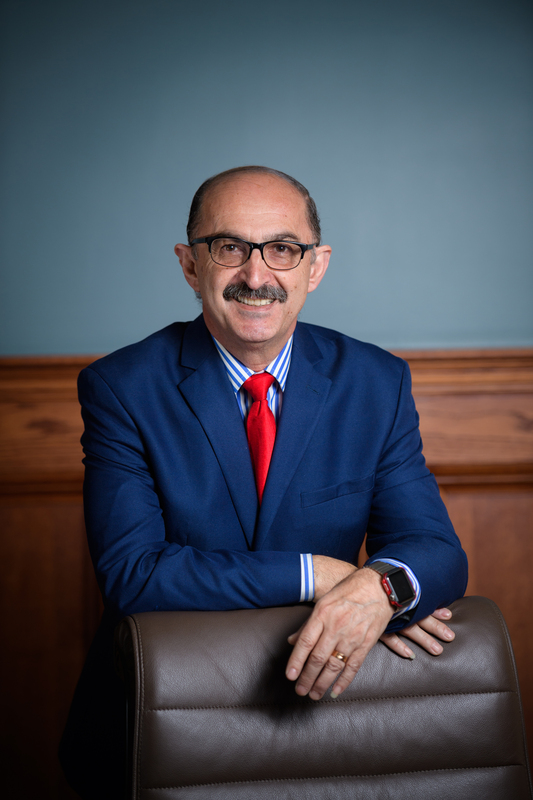 Samir Husni: Which career was easier, being the Deputy Secretary of the Maryland Department of Commerce, being in politics, or being a journalist/publisher/editor? Sandra Long: (Laughs) That’s a great question. Really, it’s an easy question, because I’m going to tell you, I really think being deputy secretary was easier than being a journalist and a publisher. It’s difficult, because you have to try to understand your marketplace and who you’re writing for, you have to get the story right. We have to engage writers of all backgrounds, there is a lot to it, and that’s just the editorial side. I know I’m preaching to the choir here, you already know all of this. There are so many moving parts to it. Samir Husni: You’re trying to make Rosa apolitical in the divided sea that exists in our country. Is it possible to create something today that’s apolitical or isn’t on the right or on the left? Sandra Long: The mission of Rosa is to definitely be non-partisan, to write about both sides of an issue and leave the readers to make their own decisions. We’re not trying to lean them either way, which honestly is the difficult part. And I’ll give you a great example. In the inauguration issue we had a story about political rhetoric and in that we just happened to use President Trump and the gentleman who started this big thing on political rhetoric, we used those two photos. And I’ll tell you, we did get some emails about using those, but had they read the story instead of just thinking that we were making a play after President Trump, they would have found that we were not. But he is a master at political language; he is a master at that and you have to give him that. So, I think it’s going to be hard, a very difficult task. When we have our writer’s meetings, we are looking at every story, all of the language. What does this say to our readers? And are we really writing down the middle as we tell these stories of the past, present and future? It’s tremendously difficult, I have to tell you. I’m hoping that we hit the mark, but I also think the readers will keep us honest in that. Some of the women who were in office would say a certain story wasn’t non-political, that it had a slant to it, so we have to try and avoid that, it’s not what we want. We want to bring the nation of women, and male readers too, we have readers that are men; we want to bring the nation together. Or at least do our part. 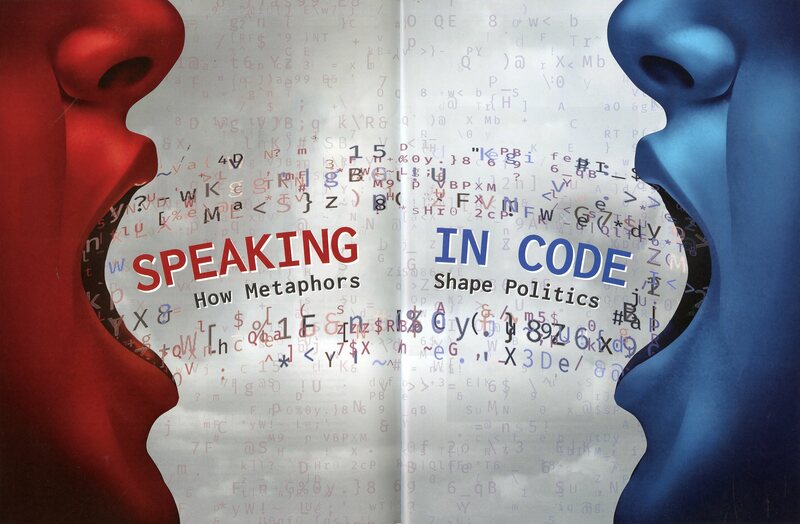 Samir Husni: You’re referring to the article “Speaking in Code,” correct? Samir Husni: It’s a great illustration, among other things, for the opening spread. So, tell me, if you and I are speaking a year from now and I ask you to tell me about Rosa, what would you hope to say? Sandra Long: That’s a great question. I sit and think about what impact Rosa can make over the next 12 months, because we’ll be knee-deep in looking at that next presidential election; we’ll be approaching 2020. So, the impact that we want to be able to have, that I think Rosa will have, is to be able to bring women together, to say here is a magazine that has stories with women in political office, whether they’re running or whether they’re in their communities, what are they doing politically, and that they will see Rosa as a connector across the country. If we have done that and done that well, then we’ve accomplished what the mission of Rosa is meant to be. One of my favorite stories in this issue is about a young lady named Blair, who is out of South Carolina and she’s young, but she ran for state office and she won. And so it’s important to have people look at that. Other young women who might have an interest in politics, to see that you can do it. Not everyone is going to want to run and win, but to just be in the ring is the idea. At least I threw my little Chanel hat into the ring. So, that’s what we’re hoping Rosa will accomplish. A year from now, I’m telling you if we can do that, then we will have done something that’s great. Samir Husni: As we look ahead, as you look at Rosa and at the entire spectrum of women in power in politics, what do you feel will be the largest stumbling block you’ll have to face and how will you overcome it? Sandra Long: Here is the largest stumbling block, because sustainability in any effort, any venture, is key. Once you feel like you’re hitting your niche, then how are you going to sustain that? For us, one of the toughest challenges is that sustainability looks like advertising, because there is only so much self-funding that I can do. And we’re going to need to get advertisers; we’re going to have to take on people who are experts in the industry to be able to help us get the right advertisers. I think there’s a tremendous base of people who want more say, who want to be a part of Rosa magazine or are geared toward our audience. So, that’s probably my biggest challenge, if I’m being honest. I know that they will come. I did it without even thinking. Initially, it was a passion project coming out of the gate. It wasn’t where I was thinking we had to make sure we have advertisers, so I think we have to work for them now. But here’s the thing, we have a product that they can hold in their hands and look at. It’s already on Barnes & Noble’s stands nationwide, but we’re going to need some help when it comes to finding people that believe in advertising in the magazine. Samir Husni: What has been the most pleasant moment so far? Sandra Long: The most pleasant moment was actually getting the magazine in my hand and being able to turn that page when it came from the printer, and just to look and ask was this the intent when we put this into print? Our designer, Matt Williams, is just brilliant, and when we turned that page, I have to tell you, I felt like it was a great nod to the women of our past and to the ones that are now, I think it was a job well done. That was an exciting moment. But for me, I don’t relish too long, I will just say okay now, what’s next? (Laughs) At least, that’s what the staff says, they’ll say let’s just enjoy for a moment. But that was probably the most enjoyable moment for me. I’m just excited for the next issue, there are so many stories to be told. Samir Husni: Why did you choose to publish in Nashville? Sandra Long: Nashville, for me, is home and I know a lot of people here. And it’s a growing city. Nashville in its heyday was a publishing city and we had Printer’s Alley. We did a lot of the major magazines and we still do a lot of work on major magazines in print. I know some people might say that we need to be in New York or in Washington, but we can get there from Nashville, Tenn. I think it’s just a different mindset in Nashville. And it’s also, for lack of a better word, it’s always been my spiritual center. And so when I come to Nashville, I get clarity on what it is I feel like I’m supposed to be doing to impact the world personally. We may open another office, and I know that we will open an office in D.C. that will be an editorial office, probably sooner rather than later, but for now the main office is in Nashville and I anticipate we’ll be here for the next year or two. Sandra Long: I’m doing one of two things, I’m either on Texture looking at magazine design, because that’s one of the things that I just love and it relaxes me. I just want to look and see what other designers are doing, it keeps us creative. And I’m probably watching some girly show – Real Housewives or something, if I’m not reading. But I have to tell you, to relax sometimes I’m watching some kind of reality TV show. I’ll indulge for at least an hour, so you’ll find me doing those things for sure. Sandra Long: Probably service to mankind. I want to be known for service, that’s all I want to be known for. That I just wanted to serve people in the particular way that God gave me with my skillset, because there are some things that I’m not good at and most people who know me will tell you. (Laughs) Oh no, Ms. Long, she’s not good at that. (Laughs again) Or she’s successfully good at this; I am good at concepts and implementing. But it is always to be of service. So, if there’s anything I want people to remember about me or to be etched in stone or in the brains of people, that’s what I’d like to be remembered for. Sandra Long: There isn’t a lot that keeps me up at night, because from the moment that my feet hit the ground in the morning, I know what I’m supposed to be doing and I’m running hard every, single day, so by the time I get to sleep, I am a sound sleeper. There’s not anything that I’m really concerned about other than just making sure that I am doing all that I can do to give the magazine the right voice and the right life that it deserves. Nothing lasts forever, there’s a time and a season for everything. I just happen to think that this is Rosa’s season. That this is the time for a magazine of this caliber and with this target and mission. So, anything that weighs on my mind a little bit is about whether I’m doing everything that I need to do to move it along, but not where it is so forced and so pushed, but definitely where people will embrace it. And hopefully they will do that. 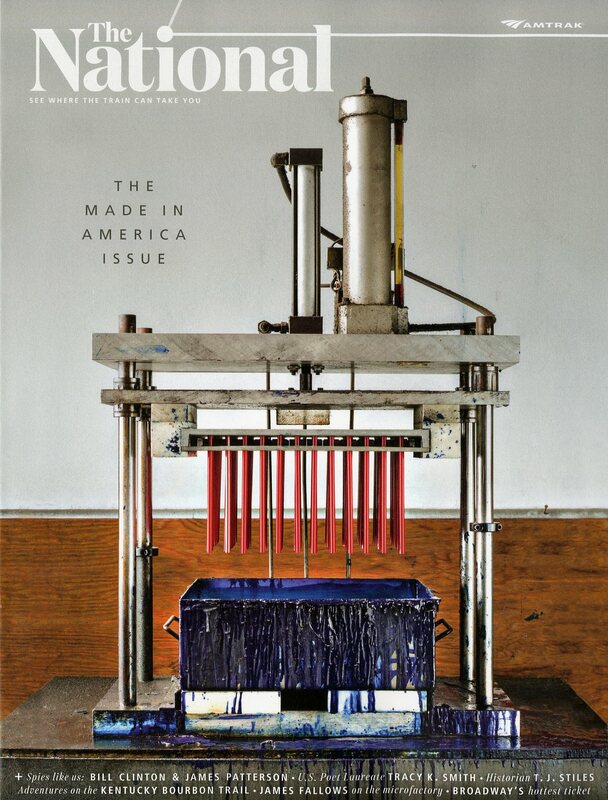 Magazines are art. Their content, photographs, typography, and design all combine together to make the artistry that propels them into that world of cultivated beauty. And if words power societies as we all know they do, then the act of putting letters together to form words should not be taken lightly. In fact, as I am writing this my thought processes are churning as I select each consonant and vowel to curate and create this Mr. Magazine™ Musing. Magazines are curators. To be fair, magazine creators are the curators, just as Mr. Magazine™ is curator of this message. The curation of content is not something to take lightly. Not in this day and age of fake news and even faker websites that are out there among the masses of true – maybe true – no way could this be true information. And that’s why the weight of the world; the weight of people’s trust and confidence sits squarely on the shoulders of curation. Curation is an art form. When a magazine’s team gets together to have a meeting-of-the-minds when it comes time for that all-important next issue, finding and organizing that quality content that is meant just for the readers of that magazine is vital. Searching. Validating. Finding an expert. Summarizing and providing answers to “What’s In It For Me” regardless of what the curated material is that you’re trying to find, and then relating that information and storytelling to the specific audience is what sets a magazine apart from other more questionable content providers. For example, at the 2018 IMAG Conference that I recently attended in Boston, Linda Thomas Brooks, president and CEO of MPA – The Association of Magazine Media, talked about credibility by the numbers. It was a fascinating presentation. Linda spoke about one article that Parents Magazine ran about child disability that had hours upon hours of reporting and interviews with people who had expertise in the topic, from psychiatrists and psychologists to attorneys and child professionals, proving that thorough investigation and evaluation of research and experts produces verified and credible material that audiences can trust. And magazines are about creating trust. Curation buffers that trust to the top of the food chain when it comes to the digestion of information. What we put into our minds eventually becomes our thoughts and ideas, so correct, true and worthy information is important to all of us. And finding an expert to interview, to review, and validate the curation is essential to the credibility of what magazines and magazine media offer. The medium of print is a technology unto itself. As we scan the Internet for information and as we find that knowledge on some obscure website, are we sure that content has been curated through experts, reviews and validation? No, we cannot be sure of anything with random words and sentences that are pulled together in Cyberspace. Now, most of you know that Mr. Magazine™ has and always will be a voice for print in this digital age that we live in. I don’t think that’s a beacon of surprise to anyone. However, that doesn’t mean that I am not a proponent of positivity for the power of digital information. But what I am saying with this musing is simply, there are some things that magazines do better than the Internet. And that, as always, we out here in the real world (not the virtual world) need the correct information and simple truths that proven print media has to offer. Some of you may have heard the recent reports on the so-called “computer-generated” models that’s usage is on the rise with social media influencers, which are people who are paid to promote brands and products, and in some cases aren’t even real people. According to these media reports, with this growing online trend, some of these computer-generated influencers have more than one million followers each. The goal of these influencers is to get you to buy products or experiences, but some worry you could be misled by false images. False information from the Internet? Surely not! Ignoring Mr. Magazine’s™ apparent sarcasm, I think it behooves us to realize that not everything we read, watch, listen to, and absorb from online sources is true and accurate, such as with “Lil Miquela,” the optical illusion model that was referred to in the media reports we were just discussing. She is an avatar designed by artists and constructed by computers. Can you imagine? She appears real and true, but in actuality is only an illusion. And if likes and followers can’t be had by fictitious models that don’t even exist, why, you can now buy your way into online popularity. Even Mr. Magazine™ (print lover extraordinaire) receives digital offers to purchase fake and non-existent Instagram followers and Facebook likes. I recently received an email that offered me 10k Facebook likes for $70 and 10k Instagram followers for the same amount. And of course, Twitter, YouTube and LinkedIn were also included in my illustrious offer. People, the lines between fiction and reality are becoming blurred. Before we know it, there will be no defining factors between truth and lies. And what are the ethical issues concerning this newfound ability to generate avatar-people? Shouldn’t we worry that deception is becoming the norm in our world? All of this leads back to the fact that magazines produce “real human” models, “real human” information, and “real human” trust factors. The curation of honest content and factual material is a must for us in this world of fictitious people and misinformation that we live in. The art of curation has never been more important to a generation of human beings who have to sift through the mountains of media falsehoods that exist in the world today. See you at the newsstands – the real newsstands! Samir “Mr. 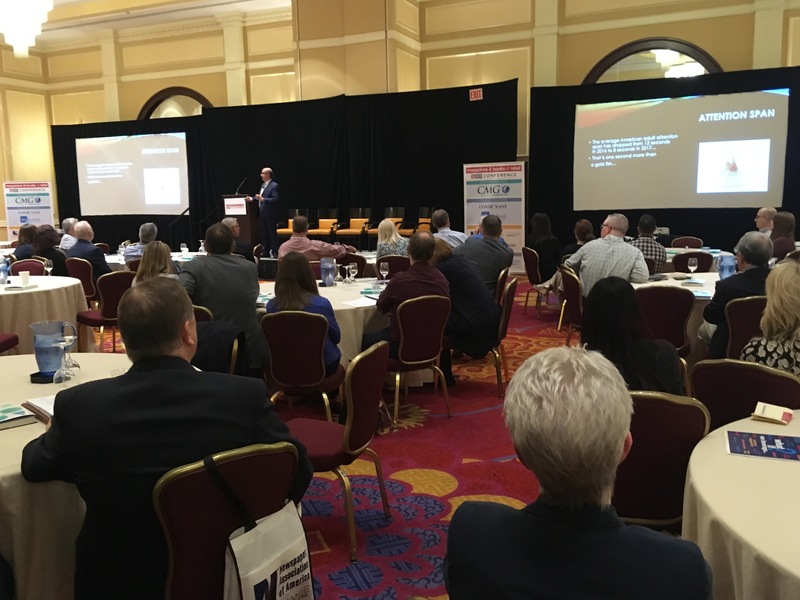 Magazine™” Husni speaking at the Magazines & Books At Retail Conference in New Jersey June 12, 2018. He pointed out that he identified 131 launches of magazines with regular frequencies in 2017, and has counted 103 (plus 300 bookazines) already in 2018 — on topics spanning new twists on existing categories and whole new categories (e.g., cooking with cannabis, raising urban chickens). “Everything has a natural lifecycle, so why shouldn’t magazines?,” he asked. “Magazines are folding, and launching, all the time,” but their overall number continues to grow. 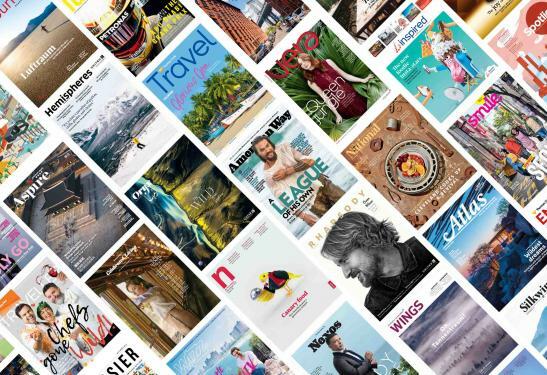 In fact, he declared, “print is the new ‘new media.’” Even digital and high-tech companies, including Airbnb, Uber, and Facebook, are launching print magazines to connect in a deeper way with their customers and prospects. Further, print is the only medium that doesn’t “spy on us, track us or invade our privacy” when we’re consuming it, Husni noted. *Don’t forget that success hinges most of all on being able to answer the question, “What’s in it for me?” What’s in it for your readers, advertisers and retailers? “It’s all about service, truth, goodwill and benefits,” Husni summed up. On June 12 I spoke at the Magazines & Books at Retail Conference in New Jersey. 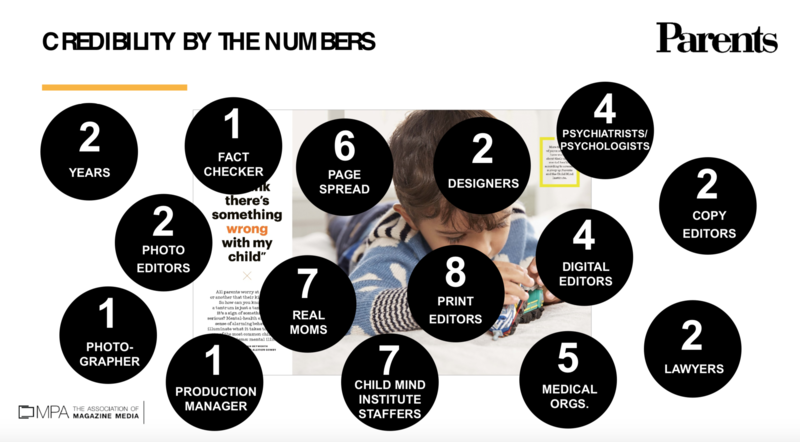 My presentation was titled “14 Magazine Media Myths Debunked and 10 Lessons Learned.” The summary of my presentation above was originally published by MBR Daily Publishing & Retail, written by the newsletter’s editor Karlene Lukovitz and posted on the MBR site. Ink travel media was founded in 1994 and has six offices around the globe. They’re storytellers and sellers of advertising to some of the largest brands in the world today, such as American, Qatar, Etihad and Virgin Airlines. In addition, Ink also sells digital media space to airlines as well. 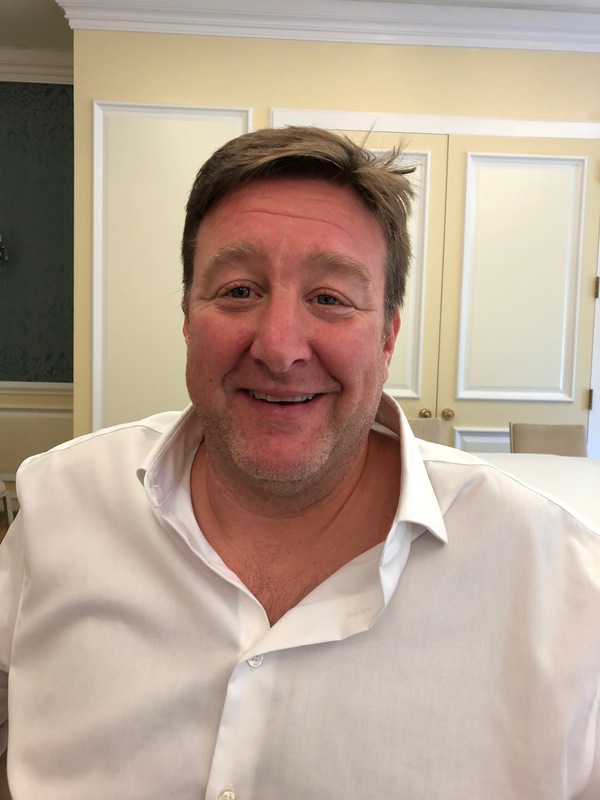 But Joint CEO and Cofounder, Simon Leslie, is not a man to trifle with when it comes to print. He is a firm believer in a high quality ink on paper product and has the numbers to back it up. As some of you know, I recently attended the IMAG Conference in Boston, hosted by MPA: The Association of Magazine Media. In this, my third and final interview installment of that wonderful experience, Simon graciously gave me some time to sit down with him and pick his brain about the cost effectiveness of print and about the success he and his company have found from not only the printed product, but also benevolence toward their employees and the human race in general. And while we all want to make a profit, including Simon, to him money is not the be all/end all of a company’s success. Not by a long shot. As you read this interview, you will discover a man who has reached that pivotal moment in his life where success is measured by lives one has touched in a positive way, not by how many zeroes take up space in one’s bank account. And a man who has also found that people, human beings, still enjoy, want and revel in the printed product. So, sit back and enjoy a conversation that will prove, beyond a shadow of a doubt, that there are still nice people in the world who are definitely print proud and print prosperous – the Mr. Magazine™ interview with Simon Leslie, Joint CEO & Cofounder, Ink. On what’s going on with Ink today: Michael (Keating) and I started the business 24 years ago. And in 2003 we merged with two other partners and we all took very different roles. And in 2014 we took back control of the business and we’ve really focused on our people, on our process, and on the things that we’re really good at, which are creating great content and selling advertising. On whether he considers himself an ambassador of print: Am I an ambassador? I’m pro-print; I’m happy that print is doing well, certainly for us as a business. We’re doing a lot of video and we’re producing a lot of content. And whatever format the readers want to consume it in, that’s what we’ll focus on. And today people still love magazines. On whether Ink will ever do anything but travel media: I get asked that question a lot, you know? Why don’t you do something here or do something there. The more you focus on something, the better you become at it. It’s a process. The best in the world focus on one thing. We have done projects for some of our advertisers because they come to us and say that they love what we do and then ask can we help them? So, I wouldn’t say never, but we’re busy. And we’re seeing lots more opportunity coming from this sector. There are 350 airlines in the world, we do 27 of them. We haven’t really scratched the surface. Now, we do 27 of the best ones, but there are still plenty more to go for and there are plenty of markets that we don’t have a presence in. We are very much mining in those markets, quite aggressively. On why Ink’s travel content isn’t repurposed for each airline or client: It’s something that we’ve looked at many times; people say why don’t they just repurpose this? But an article that we write on Paris for American is very different than an article we write on Paris for EasyJet. And the same for Etihad and Qatar, we have a different tone. What we agree with the airlines on is this is the person we are targeting, this is their client, this is the area that they want us to focus on, and that way it keeps it spoke on brand. Each airline has their own brand voice, has their own brand that they want to have. Some want to be really quirky, some want to be slick. Some want to be very adventurous, and we work at what the right tone is for each of those magazines. On whether there has been a moment in his career where he felt as though “this is it – we’ve made it”: (Laughs) That’s a great question. Sometimes I walk through the office and I look around and there are hundreds of people and they’re working and I’ll think: when will they realize that I don’t know what I’m doing? Do you think they’ll ever figure it out? (Laughs) I mean, some of them already have. But it does make me very proud. It makes me proud seeing them achieve amazing things. In front of the Boston, MA Public Library. 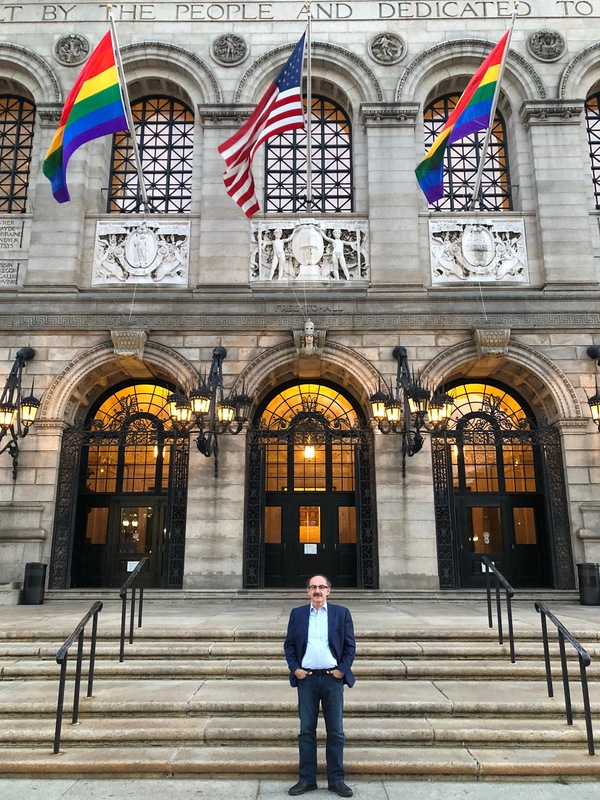 This is the last of three interviews I conducted in Boston while attending the MPA: The Association of Magazine Media’s IMAG 2018 conference. On his people-oriented beliefs and thinking and where that soft spot for his fellow man comes from: You’d have to ask my mother. (Laughs) She obviously brought me up well. You know, I spent 15 years trying to make money and being very much at the cold-face. I left school very early and just wanted to be rich. That’s what I thought anyway. And then something happened in my mid-thirties where I realized…something clicked that said if I wanted to be successful, I had to make sure I worked with people and focused on them, rather than focusing on the profits. And it started to work. And the more it worked, the more I said let’s do more of it. On whether or not it’s all been a walk in a rose garden or there were some thorns every now and then: (Laughs) There have been lots of thorns. I think you become more resilient as you learn and grow. Once upon a time when the phone rang and you saw your client’s name there, you would think, what’s happened now? But now when the phone rings I’m excited to speak to them. And I don’t have the same fear that something has gone wrong. And I think that just comes from experience and knowing that whatever happens you’re going to deal with it. There is nothing that’s going to happen that one can’t deal with. On how many magazines he has to publish to reach that complete satisfaction level: I think if you’d said to me three years ago that we’d be where we are today, I would have laughed at you. I was really trying to keep the lights on. And I guess the answer is, I’m satisfied all of the time, but if I stop, I’m letting 300 people down, not one. My ambition, if you have people more ambitious than you, then you shouldn’t be running the business. And that’s the answer. The day that someone is more ambitious than me, and there are a few of them coming through, then it’s time for me to hand over the reins to them and let them take the ship forward. On anything he’d like to add: I’m excited. I think the market is so ripe for good products, there isn’t a shortage of companies. Companies are starting every day, there are millions and millions of companies and millions and millions of places. What there is a shortage of is people with the ability to go hunt, to go find them. On how he would like to be remembered: I want them to think that he definitely left me better than he found me, in whatever context, whoever I meet. I always want to give them something that they’ll think was good, and that they didn’t know. And I certainly don’t want to be the cleverest man in any room. If I’m the cleverest man in the room, then I’m in the wrong room. On what someone would find him doing if they showed up unexpectedly one evening at his home: If you find me at home, you’ve done a better job than my wife has done. (Laughs) I’ll tell you the thing that’s happened this year which has been great; I swapped my wristwatch for a Fitbit band and I bought one for all of my kids and my wife. And after dinner now we all go for a walk; we walk together, because we want to get to our 10,000-12,000 steps. We’re a bit competitive and we all want to do more than each other. And I have to say, we leave the phones at home and we walk and we talk and we play football and mess around in the park. And that has been the best thing. Too many people sit on the sofa and don’t talk to each other, don’t communicate, don’t ask each other how their day has been and they’re not getting any exercise. So, to me that was a great invention. On what keeps him up at night: Normally it’s indigestion. (Laughs) I sleep really well. I’m a really good sleeper. I used to only have five to six hours of sleep and now I try to sleep longer, but I can’t. I don’t need that many more hours of sleep. There’s a saying that goes: worry, then you die, don’t worry, then you die. Why worry? (Laughs) It’s not going to change anything. And now the lightly edited transcript of the Mr. Magazine™ interview with Simon Leslie, joint CEO & cofounder, Ink. Samir Husni: Give me an update, where are you now with Ink? Last time we spoke you still had a CEO, and now you’re the joint CEO and things have changed. Simon Leslie: Michael (Keating) and I started the business 24 years ago. And in 2003 we merged with two other partners and we all took very different roles. 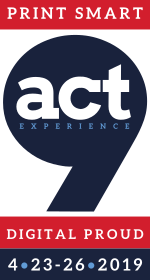 And in 2014 we took back control of the business and we’ve really focused on our people, on our process, and on the things that we’re really good at, which are creating great content and selling advertising. And over the last 12 months, we’ve gotten nine new contracts. We’ve added airlines like Qatar, Etihad, Virgin, Singapore Airlines, some of them the most coolest and prestigious airline brands in the world. And I guess people have now realized that we’re good at what we do and even the biggest and the best airlines in the world are a part of our stable. Samir Husni: Do you consider yourself now as more of a print ambassador? Because you’re one of the few people in the industry who continue to promote print, who continues to say, look, we’re doing print and we’re getting more contracts in print. Simon Leslie: Our airlines want to give their customers content to read. If they had a mechanism to deliver that content in a different format, I’m sure we would. We support print because print works. People still love that ephemeral moment of picking up the magazine and flipping through it; that lean-back experience rather than lean-forward. Sometimes it’s nice to get off the screen and have that moment to yourself. Am I an ambassador? I’m pro-print; I’m happy that print is doing well, certainly for us as a business. We’re doing a lot of video and we’re producing a lot of content. And whatever format the readers want to consume it in, that’s what we’ll focus on. And today people still love magazines. Simon Leslie: We are travel media. Samir Husni: Is that all you’re going to do or never say never? Simon Leslie: I get asked that question a lot, you know? Why don’t you do something here or do something there. The more you focus on something, the better you become at it. It’s a process. The best in the world focus on one thing. We have done projects for some of our advertisers because they come to us and say that they love what we do and then ask can we help them? So, I wouldn’t say never, but we’re busy. And we’re seeing lots more opportunity coming from this sector. There are 350 airlines in the world, we do 27 of them. We haven’t really scratched the surface. Now, we do 27 of the best ones, but there are still plenty more to go for and there are plenty of markets that we don’t have a presence in. We are very much mining in those markets, quite aggressively. But I also want to be seen as the place to go when you want to reach a traveler. I want people to think about us as the place to go to find that, both from a research point of view and a content point of view. And then from an advertising point of view of what travel behaviors are like; where the new hotspot is, what Chinese travelers spend their money on, where Indian travelers want to go next. There are a lot of things that we’re picking up during the process of what we do. It’s very interesting. Samir Husni: Someone might ask why don’t you use the same content in all of these magazines, since the travelers aren’t the same. 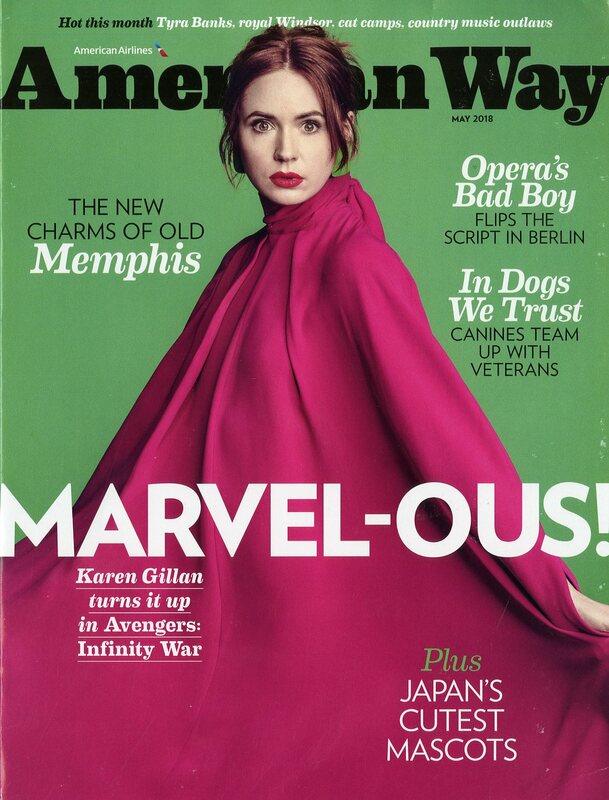 What do you do to ensure that whatever is in the Etihad magazine or whatever is in the American Way magazine is uniquely designed and created for the American flyer or the Etihad flyer, or each individual airlines’ flyer? Simon Leslie: It’s something that we’ve looked at many times; people say why don’t they just repurpose this? But an article that we write on Paris for American is very different than an article we write on Paris for EasyJet. And the same for Etihad and Qatar, we have a different tone. What we agree with the airlines on is this is the person we are targeting, this is their client, this is the area that they want us to focus on, and that way it keeps it spoke on brand. Each airline has their own brand voice, has their own brand that they want to have. Some want to be really quirky, some want to be slick. Some want to be very adventurous, and we work at what the right tone is for each of those magazines. And each of them have their own dedicated team, both in advertising and editorial, so they really live and breathe the airline so they understand the customer’s behavior. They understand, do they have more short-haul travelers or more long-haul travelers; do they want gourmet; what are their passions; what are the things that really excite them? And then we can make sure the book is filled to the brim with that information. Samir Husni: Has there been a moment in your recent career, since you started Ink, that you felt – this is it, we’ve made it? Simon Leslie: (Laughs) That’s a great question. Sometimes I walk through the office and I look around and there are hundreds of people and they’re working and I’ll think: when will they realize that I don’t know what I’m doing? Do you think they’ll ever figure it out? (Laughs) I mean, some of them already have. But it does make me very proud. It makes me proud seeing them achieve amazing things. One of the things that we’ve really focused on in the last three years is not just doing what we’re doing and making money, but really getting them to give back. Every year 10 people from different offices, people who have probably never met before, they cross the Sahara together. We do two marathons in two days across the Sahara to raise money for charity. Everybody is running, baking; we work with a lot of the homeless missions. It’s interesting that there’s all this talk about driverless cars and all these amazing things that we’re going to do, but figuring out how to get rid of homeless on the streets might be more valuable. The time consumed on mobiles and social media and everything else is just such wasted time and there are so many good things that could be done that people aren’t even thinking about and I think that’s a crime. Samir Husni: Each time I talk with you I feel that you have a soft spot about people, about the human race. Where does this come from? You’re a CEO of a major company, a multimillion dollar business, but you’re always thinking about the audience, about the people. You talk about your own people, rather than going through the P&L of your company and all of the money that you’re making. Where does this soft spot come from? Simon Leslie: You’d have to ask my mother. (Laughs) She obviously brought me up well. You know, I spent 15 years trying to make money and being very much at the cold-face. I left school very early and just wanted to be rich. That’s what I thought anyway. And then something happened in my mid-thirties where I realized…something clicked that said if I wanted to be successful, I had to make sure I worked with people and focused on them, rather than focusing on the profits. And it started to work. And the more it worked, the more I said let’s do more of it. And I thought about what would motivate me at different phases in my life and if it motivated me, then hopefully I could motivate others with the same stick. And I get asked quite a lot, how do you get this through the Board and how do you get approval to do this? We have sports coaches; we have sports-type holidays; we have physios; I have wellness, sleep and diet coaches; mindfulness coaches, and people are like how do you prove ROI; how do you keep spending on that? And I keep saying that the results are getting better, so we’re clearly doing the right thing. It’s very hard, and I see this with advertisers as well, they see their competitors in the magazine and they’re saying, yes, but we haven’t got the money to spend. And I say, but they didn’t have the money to spend when they started, they just took a leap of faith. I was in Melbourne once and I saw a picture, it was called “Leap of Faith.” And I bought it. I took a replica of it and every time I had somebody who said, well, I don’t know – I’d say, here’s a picture called Leap of Faith, come with us on our journey and I think you’ll be okay. And we’ve had a lot of success with it, a few failures, but a lot of success just from people taking a leap of faith, believing what we believe. And that gets you the results, the results come because of the people. We have no assets, for a business, there are very little assets. The assets are our people. Samir Husni: Has it been a walk in a rose garden since then? Or every now and then do you catch a thorn? Simon Leslie: (Laughs) There have been lots of thorns. I think you become more resilient as you learn and grow. Once upon a time when the phone rang and you saw your client’s name there, you would think, what’s happened now? But now when the phone rings I’m excited to speak to them. And I don’t have the same fear that something has gone wrong. And I think that just comes from experience and knowing that whatever happens you’re going to deal with it. There is nothing that’s going to happen that one can’t deal with. Samir Husni: I know you’re satisfied with what you have, but when do you think you’ll reach that complete satisfaction level? When you publish 50 out of the 350 airline magazines? Now you’re at 27, is there a figure in your head or not? Simon Leslie: I think if you’d said to me three years ago that we’d be where we are today, I would have laughed at you. I was really trying to keep the lights on. And I guess the answer is, I’m satisfied all of the time, but if I stop, I’m letting 300 people down, not one. My ambition, if you have people more ambitious than you, then you shouldn’t be running the business. And that’s the answer. The day that someone is more ambitious than me, and there are a few of them coming through, then it’s time for me to hand over the reins to them and let them take the ship forward. But as it stands at this minute, I don’t feel like I’m out of second gear, I feel like a 24-year-old startup; I feel more excited than I’ve ever been. We’re having huge successes every month. We’re breaking records. I listen to everyone talking about how print is not doing well and how people are not buying print, and I just tell them it’s not true. I think the biggest problem with the industry is that the industry doesn’t believe enough in its own products. It doesn’t believe in its own story and that’s something they really have to work on. A lot of people came up to me after my talk at IMAG and told me how much they loved it, but that what I said wouldn’t work in their organization. And I told them that the problem wasn’t their organization. Simon Leslie: I’m excited. I think the market is so ripe for good products, there isn’t a shortage of companies. Companies are starting every day, there are millions and millions of companies and millions and millions of places. What there is a shortage of is people with the ability to go hunt, to go find them. Simon Leslie: I want them to think that he definitely left me better than he found me, in whatever context, whoever I meet. I always want to give them something that they’ll think was good, and that they didn’t know. And I certainly don’t want to be the cleverest man in any room. If I’m the cleverest man in the room, then I’m in the wrong room. Simon Leslie: If you find me at home, you’ve done a better job than my wife has done. (Laughs) I’ll tell you the thing that’s happened this year which has been great; I swapped my wristwatch for a Fitbit band and I bought one for all of my kids and my wife. And after dinner now we all go for a walk; we walk together, because we want to get to our 10,000-12,000 steps. We’re a bit competitive and we all want to do more than each other. And I have to say, we leave the phones at home and we walk and we talk and we play football and mess around in the park. And that has been the best thing. Too many people sit on the sofa and don’t talk to each other, don’t communicate, don’t ask each other how their day has been and they’re not getting any exercise. So, to me that was a great invention. Simon Leslie: Normally it’s indigestion. (Laughs) I sleep really well. I’m a really good sleeper. I used to only have five to six hours of sleep and now I try to sleep longer, but I can’t. I don’t need that many more hours of sleep. There’s a saying that goes: worry, then you die, don’t worry, then you die. Why worry? (Laughs) It’s not going to change anything. And I don’t look at my phone first thing in the morning. That’s probably one of the best things; I used to wake up and look at the phone, therefore you start your day dealing with problems way before you need to. So now, I wake up in the morning, if my wife is there I give her a kiss, and I leave the phone until I’m ready to start the day. I’ve had my juice and take my tablets and I’m prepared for whatever it is. And do you know what the funny thing is? Most of the time there’s nothing there to be prepared for, because things are running the way you want them to. Having a firm belief in print, but also having a tight vision on the digital future. 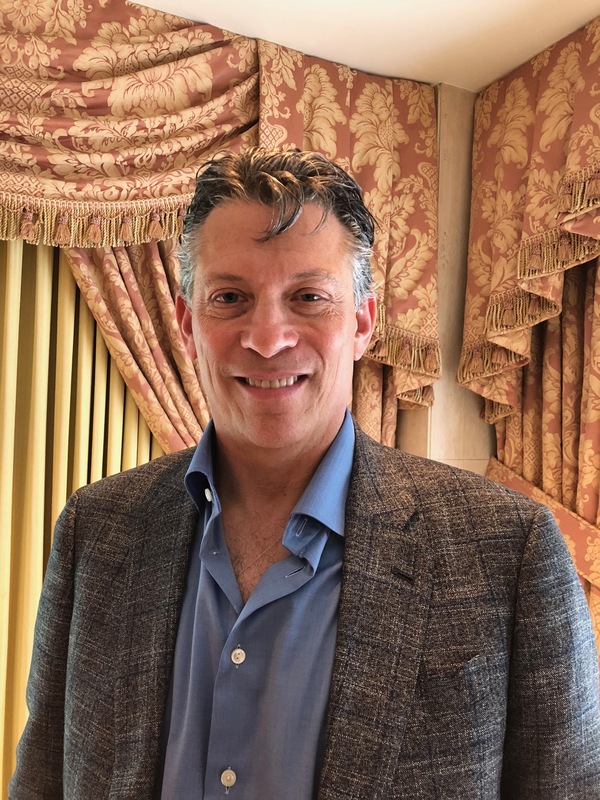 This statement would define America’s Test Kitchen CEO, David Nussbaum, to a perfect T. Recently, as some of you may have read in an earlier Mr. Magazine™ blog post, I attended the IMAG Conference in Boston, hosted by MPA: The Association of Magazine Media. 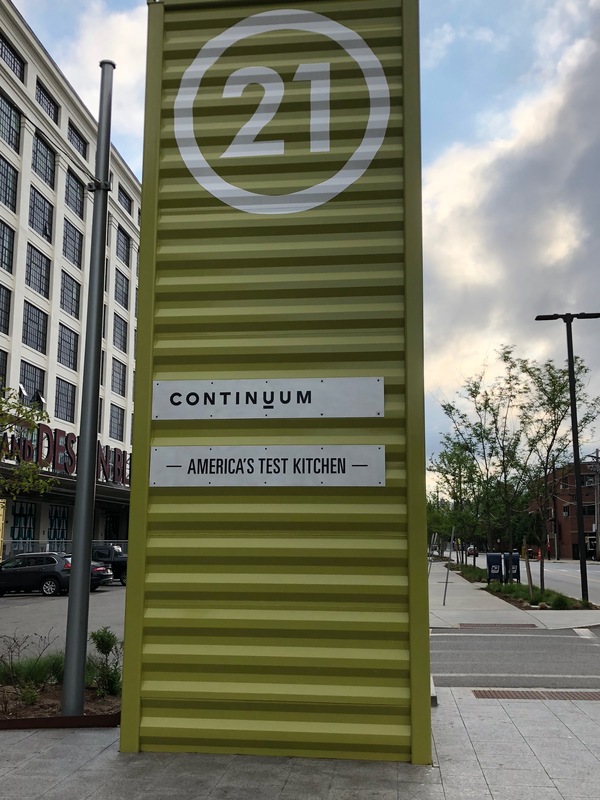 While there, I had the extremely pleasant opportunity to speak with David about America’s Test Kitchen and some of the innovative ideas that are being “cooked” up in the brand’s new location. David was excited to tell me about their new studios (which we toured as part of the IMAG Conference) and about all of the fun experiences they are creating for their consumers, such as food festivals and even a food truck that will get out among people. From engaging their audience with a more communal environment to expanding their dialogue with consumers through more social media conversation, David has opened up the brand and made it more people-friendly since becoming CEO almost three years ago. As I sat down with David to talk, I realized that his passion and commitment for and to the brand was synonymous with its continued success, as he talked quietly, but animatedly about what creating a community for his subscribers, viewers and readers meant to him. It was a peek into one of the most distinguished and unique brands around and I hope that you enjoy it as much as I did. 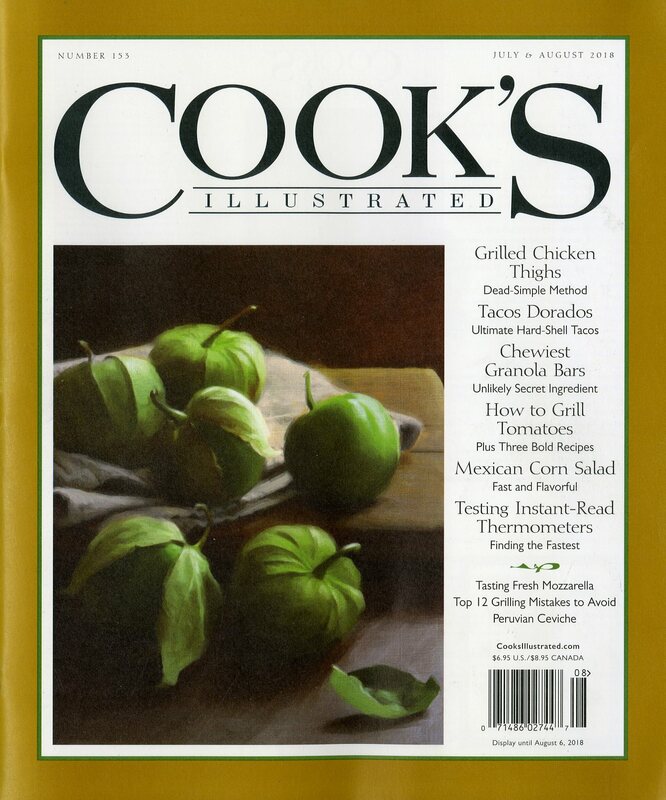 Now, the Mr. Magazine™ interview with David Nussbaum, CEO, America’s Test Kitchen. 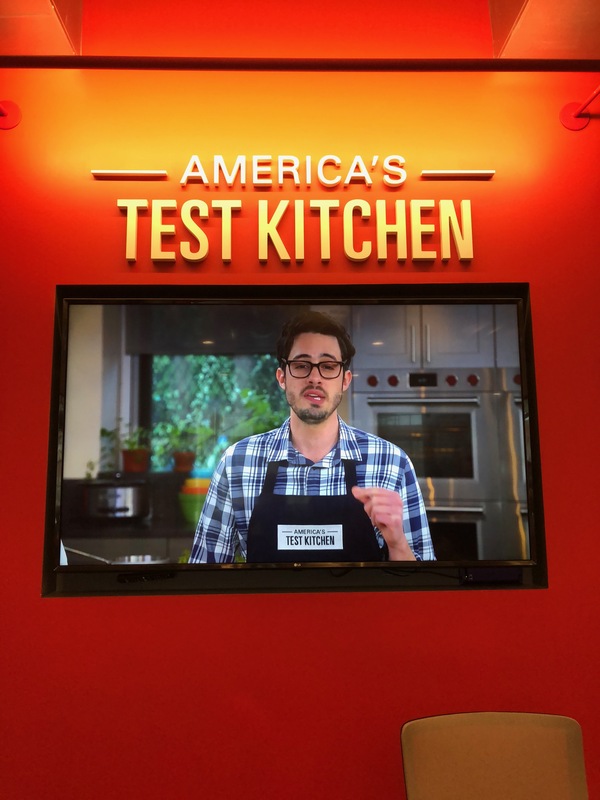 On the strategy behind moving America’s Test Kitchen: The strategy was pretty clear in that the business of media and the business of food was all moving to video. And we have two TV shows on air, one of them for 14 years and the other is going into its 18th season, so we knew video and we had the expertise, but we didn’t really have the studios. But we also realized that we had to shoot video every single day. And in our old location to shoot video we had to shut down half the operation, because we didn’t have studios, we would have to close the kitchens and move cameras in. On whether he thinks their unique business model of no advertising and collecting revenue from readers, viewers and subscribers can be duplicated in today’s digital age where everyone expects everything for free: I think it has to be, because content providers can no longer survive simply on advertising and we need content providers. And so more and more companies have to realize that the future is not selling another ad or another digital ad, or even some of what they call advertorials or native advertising, which at some point the consumer is not going to trust. So, I think every content provider has to figure out a way to provide information and content and whatever else they need to provide that people are willing to pay for or otherwise it has very little value. On where he sees print in this digital environment we live in: I think we are one of the rare companies where print continues to grow. But again we’re not dependent upon advertising, so we understand that if you can build really high quality content that’s not available anyplace else, people will pay for it. On the fact that they have a million-plus subscribers and it’s a 36-page magazine, black and white inside, with illustrations instead of pictures: It tells me first of all that we’re different and it helps to be different. In any business, if you can create something that’s different and unique, people are going to be interested. And really our readers self-select. Our readers are food geeks. They’re not necessarily interested in some big, pretty pictures, they’re interested in ‘why did we come up with this recipe and what’s the science behind it?’ ‘What’s the history behind some of the ingredients?’ There’s a lot more that surrounds our recipes than just a teaspoon of sugar and a quart of milk. And I think people realize that. You just have to look at the content that sells. On some of the changes that have taken place since he became CEO of America’s Test Kitchen: First of all, things can always be greater. (Laughs) And we did have our biggest revenue year ever in 2017, that’s after 25 years in business. But really what we’ve done is realize that the competition continues to increase, that the platforms, such as public media, where we have our TV shows; all platforms are challenged because of court-cutting, and so we’ve done a lot of different things. To begin with, the new space that we talked about earlier. We went from 23,000 sq. ft. to almost 50,000 sq. ft. Mostly studio and mostly state-of-the-art kitchens. So, that’s one major difference. On the events and the food trunk that has been created to make the experience with the brand richer: That’s another aspect that we brought to the company. We wanted to interface with our community in a much closer, one-to-one interpersonal way. Before, the company was kind of hidden away, there was no sign; you really had to work to find where it was. So, we moved to this location where there are big America’s Test Kitchen signs outside and we will have a food truck that launches in the middle of July. We did the food festival and we really want to encourage community. In front of the Boston, MA Public Library. 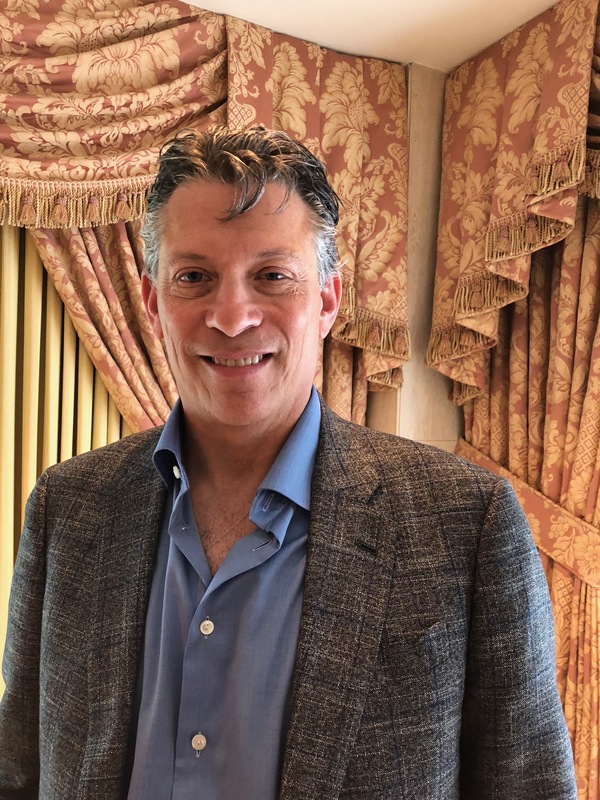 This is the second of three interviews I conducted in Boston while attending the MPA: The Association of Magazine Media’s IMAG 2018 conference. On anything he’d like to add: I think one of the biggest things that we are going to be doing, and it’s in progress, is the launch of our own OTT (over the top content). We have been on PBS for 18 years with America’s Test Kitchen, 14 years with Cook’s Country, and we, God willing, will be on PBS forever. But we also recognize that with court-cutting, with programming-on-demand, with programming through applications, that we need to reach out to other platforms. On what he would have tattooed upon his brain that would be there forever and no one could ever forget about him: I think it would be that my belief system is that trust, honesty and caring are the three most important words in my vocabulary. And that’s whether it’s the people I work with, the suppliers I work with, my family and friends. In all of the places, in all of the companies that I have run, and I feel if you spoke to the people who worked there, they would tell you that’s what I stand for. On what someone would find him doing if they showed up unexpectedly one evening at his home: Whatever my wife tells me to do. (Laughs) No, actually, winding down I would probably be sitting with an iPad on my lap; I’ll be watching some program on Netflix. I’ll be jumping to one of my digital magazines: The New Yorker, Vanity Fair or digital newspapers. And checking email. That’s what I do. And definitely Twitter. On what keeps him up at night: I sleep pretty well. What keeps me up at night is that any good company, any good businessperson realizes that you can never stand still. And innovation is not something that you do and then say, okay, we’re all done. Innovation is something that you have to continually create. So, my job as CEO is always to encourage, enrich and ensure that my teammates all feel like innovation is as the core of what they do. And that’s hard work. That’s what keeps me up at night; how can I continue to find innovation for our company that’s successful innovation. And now the lightly edited transcript of the Mr. Magazine™ interview with David Nussbaum, CEO, America’s Test Kitchen. Samir Husni: Tell me about moving the headquarters of America’s Test Kitchen; what was the strategy behind it? David Nussbaum: The strategy was pretty clear in that the business of media and the business of food was all moving to video. And we have two TV shows on air, one of them for 14 years and the other is going into its 18th season, so we knew video and we had the expertise, but we didn’t really have the studios. But we also realized that we had to shoot video every single day. And in our old location to shoot video we had to shut down half the operation, because we didn’t have studios, we would have to close the kitchens and move cameras in. So, we knew that it was important to make that shift and we realized that we weren’t really a publishing company, but we’re a studio, like a Hollywood studio. We now shoot video pretty much every single day of the week, and sometimes on Saturdays. We opened up 360 new YouTube videos this year; we use video on social very aggressively; we’re in the process of hopefully launching a third TV show, and we do live video once every couple of weeks from our studios. So, it’s really a morphing of the business to understanding that people want to consume more video. And that now sits within our subscription website, there is a lot of video there, soon it will be on our app. So the move was really all about taking the business to where it needed to go, which was to become a studio. Samir Husni: And you have a unique business model. You have no advertising; you’ve always collected your revenue from your viewers, listeners, readers, subscribers, you name it. Do you think that’s a model that can be duplicated in today’s digital age, where everybody expects everything for free? David Nussbaum: I think it has to be, because content providers can no longer survive simply on advertising and we need content providers. And so more and more companies have to realize that the future is not selling another ad or another digital ad, or even some of what they call advertorials or native advertising, which at some point the consumer is not going to trust. So, I think every content provider has to figure out a way to provide information and content and whatever else they need to provide that people are willing to pay for or otherwise it has very little value. And we’re seeing more and more of that. The New York Times recently took its cooking section from free to subscription. And from what I understand they’re doing pretty well. We heard that This Old House has launched a subscription site for content and they won an IMAG award, so they’re doing very well. So, I think more and more companies are experimenting with that and realizing that’s where the future is. You just have to look at the numbers, in terms of advertising declines over the next five years, it’s stunning. And so I think it’s absolutely critical. David Nussbaum: Which has about 300,000 subscribers. Samir Husni: And you’re doing a lot of SIP’s and specials. Where do you see print in this whole digital environment that we live in? 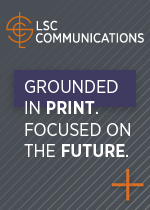 David Nussbaum: I think we are one of the rare companies where print continues to grow. But again we’re not dependent upon advertising, so we understand that if you can build really high quality content that’s not available anyplace else, people will pay for it. I’ll give you an example, we test every one of our recipes between 40 and 60 times and we spend an average of $10,000 per recipe in development. We have to do that, because recipes for the most part are free, you just put what you’re looking for into Google, eggplant parmigiana, and you have a million recipes. Ours are better, and we prove that they’re better through our research, through the process, through the time, so that you know when you purchase one of our recipes the dish will come out absolutely perfectly. So, there has to be something inside the content that makes people willing to pay for it; there must be a unique aspect to it. Our print magazines and our books, those businesses are up year over year, thus far through this year and the print business was up last year as well. 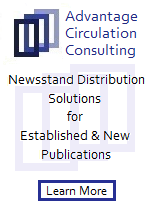 Even our newsstand business through April was up double digits. And I don’t think there are too many newsstand companies that can say that. And again, it’s because our content is really unique and different and interesting, and people realize that what they’re going to get from us is something that they can’t get from everybody else. You can go to the newsstand and there are a million cooking magazines there. And our business is up by double digits, it’s a multimillion dollar business. And I think it has to come down to the high quality of the content and the respect for the brand. Samir Husni: And yet you’re able to get away with a 36-page magazine, black and white inside, illustrations instead of pictures, and you have a million-plus subscribers. What does that tell you? David Nussbaum: It tells me first of all that we’re different and it helps to be different. In any business, if you can create something that’s different and unique, people are going to be interested. And really our readers self-select. Our readers are food geeks. They’re not necessarily interested in some big, pretty pictures, they’re interested in ‘why did we come up with this recipe and what’s the science behind it?’ ‘What’s the history behind some of the ingredients?’ There’s a lot more that surrounds our recipes than just a teaspoon of sugar and a quart of milk. And I think people realize that. You just have to look at the content that sells. The New York Times is not a beautiful piece of print. And yet people read it and read it religiously. USA Today is beautiful, 4-color, pretty pictures, but it doesn’t have near the respect or the readership that The New York Times does. So, I think it’s more about the delivery, the content, and being unique. Samir Husni: Since you became CEO of America’s Test Kitchen, what are some of the changes that you and your team take responsibility for? Or was everything going great when you got here and it just continues down that same path? David Nussbaum: First of all, things can always be greater. (Laughs) And we did have our biggest revenue year ever in 2017, that’s after 25 years in business. But really what we’ve done is realize that the competition continues to increase, that the platforms, such as public media, where we have our TV shows; all platforms are challenged because of court-cutting, and so we’ve done a lot of different things. To begin with, the new space that we talked about earlier. We went from 23,000 sq. ft. to almost 50,000 sq. ft. Mostly studio and mostly state-of-the-art kitchens. So, that’s one major difference. And number two is the company really didn’t engage in social before I got here. They had one social media person, no one else in the company was allowed to post and that person had to get approval for every single post before it went up. When I joined, I said first of all we’re going to hire five social media people; we’re going to ask everybody in the company to please post. And they don’t even have to post a company message, just post. And so we’ve taken that social position from almost zero to where we have 12 million social participants every month. And that helped us acquire audience and it helped us build brand, so the whole social program is brand new since I got here. The company used to be very inwardly-focused; inwardly in that if you were a subscriber to the website, you were not allowed to post on the website. We opened that up so that people can now post. And that has created more of a community environment. Before, the company didn’t want to work with anybody; we now have partnerships with Holland America; America’s Test Kitchen is now on all 14 of their ships. 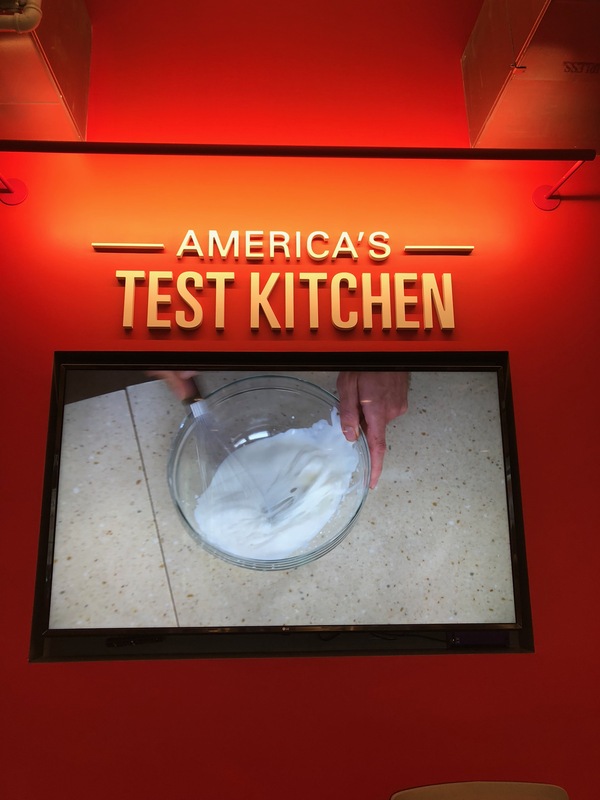 So, America’s Test Kitchen is on the seas. We are very, very close to signing with a major resort company, and America’s Test Kitchen will be on all of these resorts. We’re working with Reebok. We’ve launched food festivals, we’re now working with major brands and we’re getting thousands and thousands of people to attend. So, really what my team has done over the last three years is make America’s Test Kitchen and the brands much more ubiquitous. And by doing that we have grown our touchpoints to the audience to where we now touch around 60 million consumers every month through all the various channels. And that’s probably 10 times what was happening three years ago. Samir Husni: Some will say that you humanized the brand; you’ve grown the brand even closer with feel and touch to the audience, including creating the mobile aspect. David Nussbaum: Yes, the sites were not mobilized, that’s a good point. Samir Husni: What about the experience making, the events that you’re now creating, including the food truck? David Nussbaum: That’s another aspect that we brought to the company. We wanted to interface with our community in a much closer, one-to-one interpersonal way. Before, the company was kind of hidden away, there was no sign; you really had to work to find where it was. So, we moved to this location where there are big America’s Test Kitchen signs outside and we will have a food truck that launches in the middle of July. We did the food festival and we really want to encourage community. So, we now have a Facebook page that’s only for subscribers and we dialogue with them all of the time. The food festivals themselves, we’re going to have two this year, and we’re expecting to meet 6, 000 or 7,000 of our consumers, look them in the eye, talk to them. As I said, we added commenting to all of our websites, people can come on and now tell us whether or not they liked a recipe, and that didn’t happen before. And we’ve increased, obviously, all of our social platforms. We weren’t on Instagram before; we weren’t on Pinterest before and we didn’t have as many Facebook pages as we do now. And I think it’s a great point to make, that engaging our consumer has become much more important to us and it has really facilitated who we are. We now invite groups to take tours of the kitchens, which is a very popular program that we have. And we hope to, not in 2018, but hopefully in 2019 and beyond, we hope to take the food truck on the road and go visit people in different cities. David Nussbaum: I think one of the biggest things that we are going to be doing, and it’s in progress, is the launch of our own OTT (Over The Top content). We have been on PBS for 18 years with America’s Test Kitchen, 14 years with Cook’s Country, and we, God willing, will be on PBS forever. But we also recognize that with court-cutting, with programming-on-demand, with programming through applications, that we need to reach out to other platforms. And so we’re going to be launching our own OTT before the end of this year, so that you can watch our programs. And you can see other videos that we’ll create for the OTT, and hopefully newly-launched TV shows as well. Wherever you are, whenever you are, and for those people who don’t really watch public broadcast, they can still find us. So, I think that’s one of the most major things we’re going to be doing before the year is out. David Nussbaum: I think it would be that my belief system is that trust, honesty and caring are the three most important words in my vocabulary. And that’s whether it’s the people I work with, the suppliers I work with, my family and friends. In all of the places, in all of the companies that I have run, and I feel if you spoke to the people who worked there, they would tell you that’s what I stand for. David Nussbaum: Whatever my wife tells me to do. (Laughs) No, actually, winding down I would probably be sitting with an iPad on my lap; I’ll be watching some program on Netflix. I’ll be jumping to one of my digital magazines: The New Yorker, Vanity Fair or digital newspapers. And checking email. That’s what I do. And definitely Twitter. David Nussbaum: I sleep pretty well. What keeps me up at night is that any good company, any good businessperson realizes that you can never stand still. And innovation is not something that you do and then say, okay, we’re all done. Innovation is something that you have to continually create. So, my job as CEO is always to encourage, enrich and ensure that my teammates all feel like innovation is as the core of what they do. And that’s hard work. That’s what keeps me up at night; how can I continue to find innovation for our company that’s successful innovation. 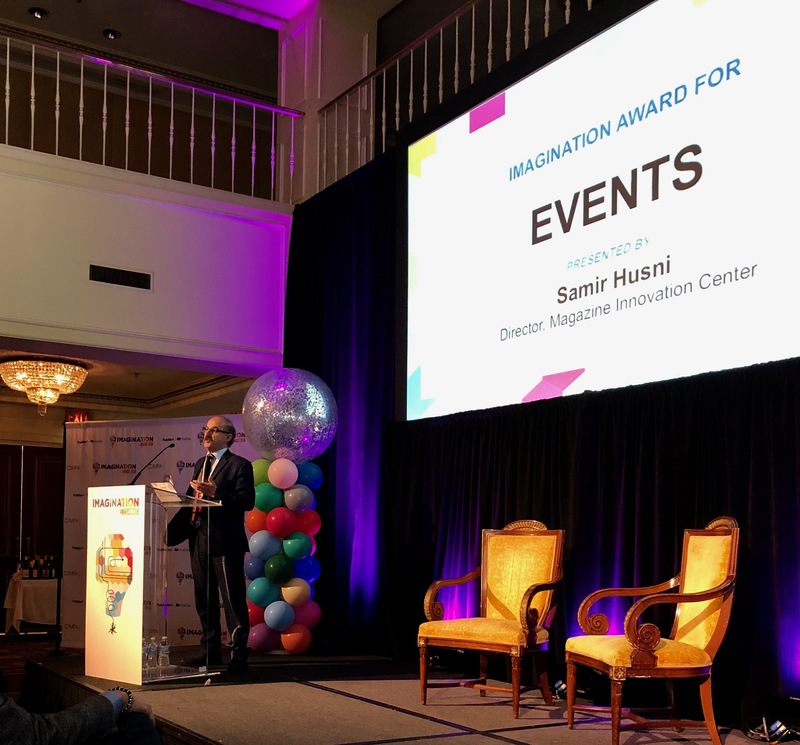 During the IMAG Conference in Boston, I was honored to be one of the judges of the IMAG Imagination Awards and the Events award presenter. Recently, I attended the IMAG Conference in Boston, hosted by MPA: The Association of Magazine Media. It was an absolutely eye-opening experience and wonderfully informative. What follows are the nuggets of information that I tweeted during the event. Long live magazine media and thank you MPA: The Association of Magazine Media for the opportunity. “Magazine Media are a short cut to quality.” When people accuse you of being “legacy Media,” OWN IT. “They are credible.” Linda Thomas Brooks opening IMAG Conference in Boston. How the tote bag with the September issue of Vogue increased the sales of the magazine at Barnes & Noble by 40% at a higher cover price. Just one of many smart initiatives from the bookstore to enhance the newsstand sales. Krifka Steffey, Director, Merchandising, Newsstand, Barnes & Noble, Inc. And Tom Maloney, National Account Director, Time Inc. Retail, A Meredith Corp. Division: on how to highlight your brand and drive newsstand sales collaboratively with the reader. Data and the right to win. From having a winning data strategy to working on a unified data framework. Mike Woods, VP, Sales & Client Services, Acxiom and Fran Middleton, CDO, America’s Test Kitchen. “No brand has more to offer in technology media than MIT Technology Review,” Elizabeth Bramson-Boudreau, CEO and Publisher. From 1899 until now, how the first ever technology publication, is doing now… why are we here and what place in the world we want to be. Elizabeth Bramson-Boudreau, CEO and Publisher, MIT Technology Review. “Nothing beats the credibility of your brand… everything we do starts with the power and values of our brand.” Hayley Romer, publisher & CRO, The Atlantic. “Editors bring credibility to the sales meeting. They are not there to sell, but to add credibility.” Dan Hickey, CEO, Kalmbach Media. “No more planning for a year or so, but rather active planning continuously…” Beth Brenner, CRO, Domino Media Group on sales and advertising from the clients. Beth Brenner, CRO, Domino, Dan Hickey, CEO, Kalmbach, Bryan Kinkade, VP, Publisher, AFAR and Jonathan Dorn, CIO, Active Interest Media on do we really need salespeople? The answer is YES. L.L. Bean celebrates the return to print as and in an innovative way to create awareness across platforms. Laura Simkins, COO, AFAR Media, reporting on the 3 challenges facing magazine Media: decline in traditional revenue; digital growth; and operational costs. The ongoing evolution of This Old House: “we are not in the media business, we are in the audience business.” Eric Thorkilsen, tells the audience. Thank you and looking forward to more lessons at the next IMAG Conference. Recently, I attended the IMAG Conference in Boston, hosted by MPA: The Association of Magazine Media. It was an absolutely eye-opening experience and wonderfully informative. 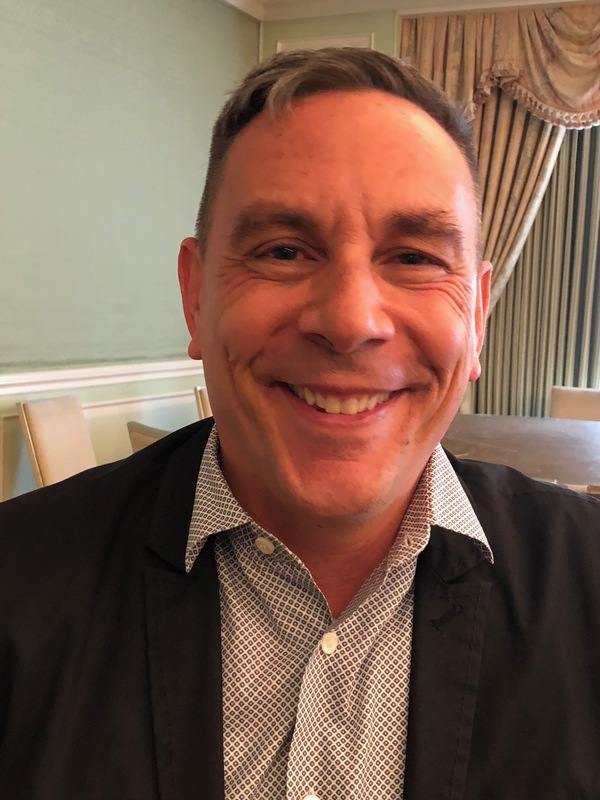 While there, I had the pleasure of speaking one on one with Joe Landry, a 25-year veteran in the magazine media business and who is now executive vice president of Pride Media. 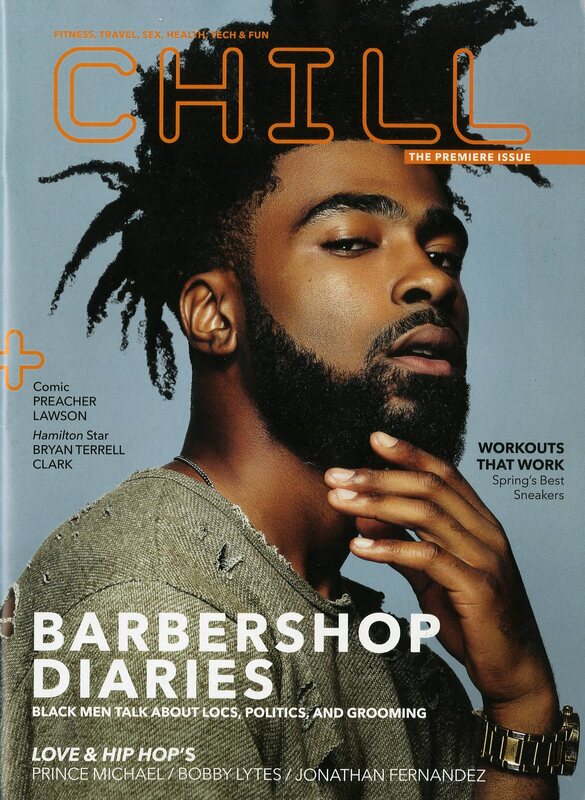 With magazines as notable as The Advocate, Out and Plus under his belt, I can’t tell you how excited I was to learn about a new print title, Chill, that Pride Media is publishing. According to Joe, Chill is geared toward that LGBT person who dislikes labels such as “gay” attached to their persona. The magazine is really aimed at African American and Hispanic millennial men who are more about the person than the stereotype. It’s an exciting concept that opens up an entire new spectrum of possibilities for the LGBTQ individual. Joe also touched on the relaunch of Out Traveler and a new content studio coming up in November called “Black Cat” in honor of The Advocates’ beginning after the Black Cat Riots in the 1960s. It was a great interview and one that I think you will thoroughly enjoy. 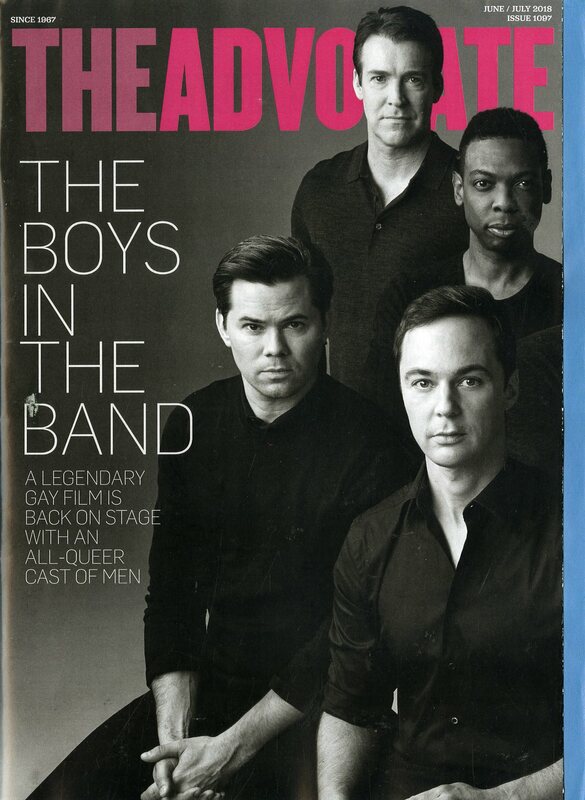 And now without further ado, the Mr. Magazine™ interview with Joe Landry, executive vice president, Pride Media. 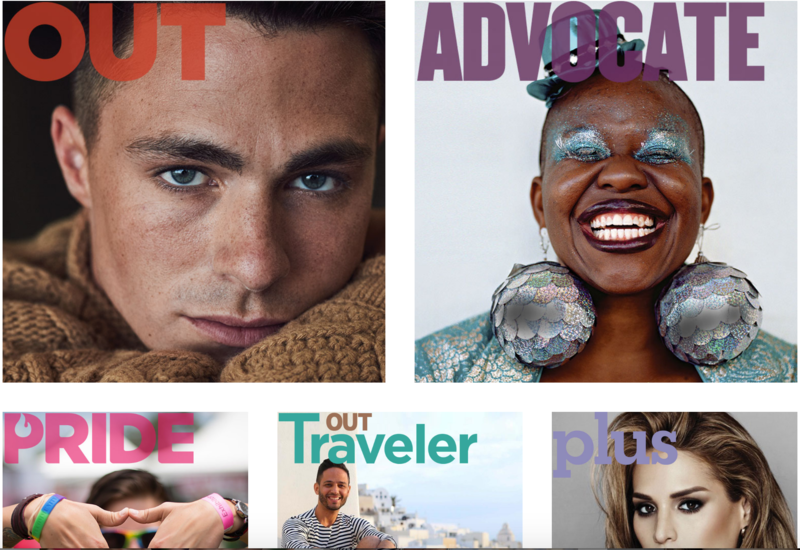 On the new print magazine from Pride Media, Chill: There’s a movement underfoot in the millennial audience where some folks do not want to subscribe to the label “gay.” And the archetype for gay, for the younger generation, is kind of this white, buffed, affluent male. And we were losing out on attracting this younger audience, so we came up with the title “Chill,” which is geared toward African Americans and Hispanics, mostly millennial men, who don’t subscribe to labels. On whether he sees Chill as a line extension of the other titles beneath Pride Media’s umbrella or he feels as though they’re carving a new niche: It’s definitely a new niche. I mean, 80 percent of the staff that creates Chill is African American or Latino. So, it’s a different point of view that we are working with, both on the editorial side from a content perspective, and also on the advertising and marketing side. We are now going after African American and Latino dollars that we didn’t have access to before, typically from some of the same people that we’ve been talking to who had diversity at various companies. On whether he feels they are now doubling the diversity and making the gay community even more of a minority: No, I don’t see it that way at all. I see it as creating content that’s relevant to a consumer segment that we didn’t have access to before. So, how Procter & Gamble would view it, I don’t know. I haven’t had a conversation with Procter & Gamble about double minorities, but there are diversity agencies that specialize in Black and Latinos. They might have a subset of LGBT, and it’s still viewed as LGBT, even though it’s not screaming out on the cover, while also hitting the Latino and African American audiences as well. In front of the Boston, MA Public Library. 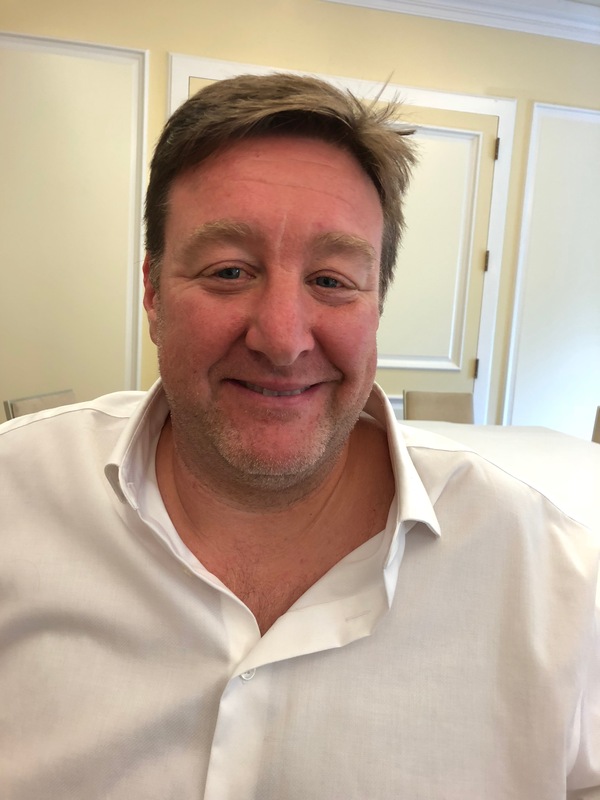 This is the first of three interviews I conducted in Boston while attending the MPA: The Association of Magazine Media’s IMAG 2018 conference. On why he decided Chill should be a print magazine: We specialize in print. Our core history is in print. We have The Advocate, Out, Plus; and The Advocate turned 50 last year. Out turned 25 and Plus is turning 20 this year; we’re having the 20th anniversary of Plus. So, we have a long history in print publications. And there’s also more credibility in print. If we just launched a website, I don’t know how we make an impact within that space the way we can in print. On the differentiation between Chill and Condé Nast’s website, Them: I think that having Condé Nast launch an LGBT product is a validation of the work that I’ve been doing for the last 25 years. I also know how difficult it is to sustain LGBT products and the market limitations to LGBT products, that’s why we have Out; why we have The Advocate; why we have Chill; why we have pride.com; and why we have Out Traveler. You sort of need to speak to each segment of the community in the voice in which they’re going to respond to. And I’m not sure that one site will have the scale that would be of interest to carry a Condé Nast title. On relaunching Out Traveler: We are relaunching Out Traveler. In 2008, when the company was sold, the owners were very nervous about what was happening in 2008 and they folded the print publication. And Out Traveler has been an online destination. 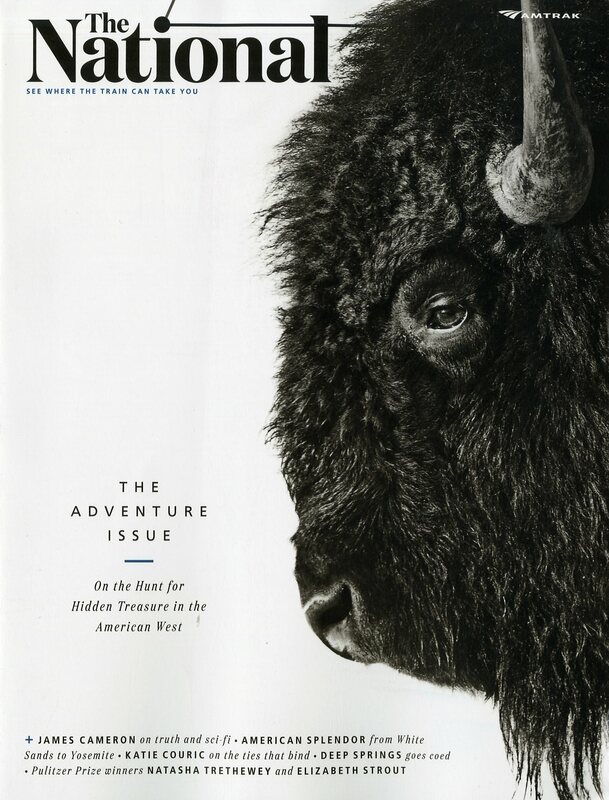 Under our new ownership we are relaunching Out Traveler in print in November. And I have been a big proponent for bringing Out Traveler back to print, so we’re very excited about that. On the biggest challenge he thinks he’ll face in 2019 and beyond: It’s interesting that we’re having this conversation right now in the middle of June, because June is Pride month and it is our most successful month from an advertising revenue perspective in the history of the company, which is crazy. And we’re diversifying our offerings into creating assets for marketers. On how he would define content today: Creating assets, whether it’s in print, in video, in social, or experiential, that are relevant to our audience. So, that’s the broad definition of content. And editorial is, of course, the most important area of creating content, but we’re also doing it on the marketing side with our partners. And a lot of our content is amplified through social influencers, so that’s another component to a lot of the programs that we do now. Not only do we create custom content, but we have the talent that we hire to create the custom content share the content on their own social platforms. On whether he feels more at ease about the future of print today than he did five years ago: No. I am never at ease. (Laughs) I am confident in the company. I am confident in our assets and I am confident that we will continue to deliver relevant messaging for our audiences, both from an editorial perspective and from an advertising perspective across platforms. But I’m sort of platform agnostic, I mean, I love magazines because that’s where I come from, but it’s really about where does the consumer want the content and the information. And that’s where I’m going to deliver it. So, I’m not beholden to any one platform. On where he is making his money: The most growth is coming from experiential’s. So, from a percentage perspective and revenue year over year, it’s crazy how much more we are making in experiential. Branded content, again, year over year, explosive growth. Digital banner ads are flat and print is down. On anything he’d like to add: We are launching a brand new content studio called “Black Cat,” so, if you recall in 1967 the Black Cat riots preceded the Stonewall Riots and the folks from those riots who were arrested during those riots started a newsletter called “Pride,” Personal Rights In Defense and Education, which eventually became The Advocate. So, in homage to the history of The Advocate, we’re naming our brand new content studio Black Cat. On what he would have tattooed upon his brain that would be there forever and no one could ever forget about him: Advocate. On what someone would find him doing if they showed up unexpectedly one evening at his home: Watching Netflix and eating popcorn. On what keeps him up at night: Work. Email – too many emails. It’s crazy; it’s unsustainable the amount of emails that we have to process on a daily basis. And now the lightly edited transcript of the Mr. Magazine™ interview with Joe Landry, executive vice president, Pride Media. 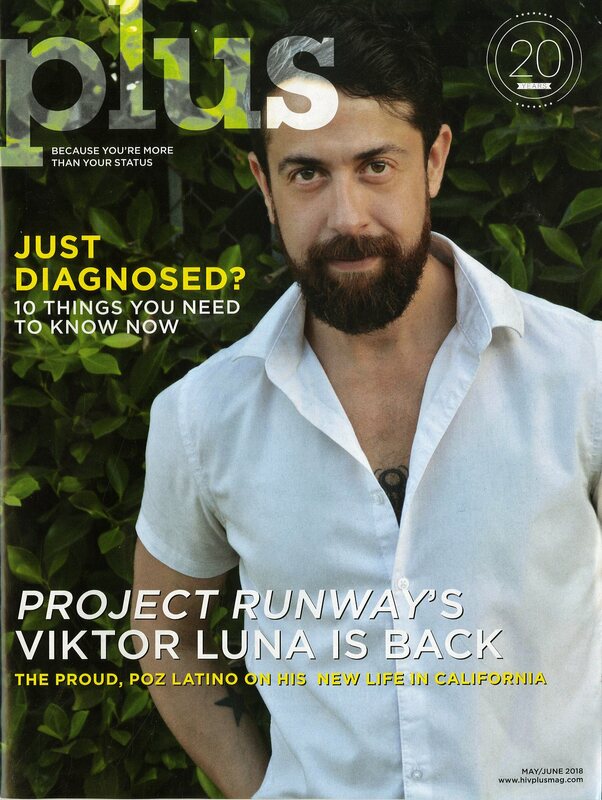 Samir Husni: Pride Media just launched another new print magazine, Chill. Tell me about it. Joe Landry: There’s a movement underfoot in the millennial audience where some folks do not want to subscribe to the label “gay.” And the archetype for gay, for the younger generation, is kind of this white, buffed, affluent male. And we were losing out on attracting this younger audience, so we came up with the title “Chill,” which is geared toward African Americans and Hispanics, mostly millennial men, who don’t subscribe to labels. I have an interesting story where I was meeting with the head of Diversity at Wells Fargo when we were launching the publication. I was explaining Chill and this smile came across her face. And I said, “What?” And she said, “I’ll tell you after.” So, I did the whole spiel. I told her about the publication, who we were looking to appeal to, and she told me a story about her stepson, who had moved back in with her and her husband, and was going away on weekends. And they didn’t know where he was going. She found out that he was actually married to a man, living in her house. She’s the head of Diversity at Wells Fargo and her stepson was scooting away to go and see his husband, whom he had married, and she didn’t know he was gay. So, when she addressed this, she said, “I’m the head of Diversity at Wells Fargo and you’re gay, and that’s okay. And he said, “No, I’m not gay. I just happened to be married to a man.” So, there’s this rejection of the label. And we don’t want the label to keep people from being attracted to our titles. Samir Husni: Do you feel like Chill is a line extension for the rest of the magazines, or you’re carving a new niche? Joe Landry: It’s definitely a new niche. I mean, 80 percent of the staff that creates Chill is African American or Latino. So, it’s a different point of view that we are working with, both on the editorial side from a content perspective, and also on the advertising and marketing side. We are now going after African American and Latino dollars that we didn’t have access to before, typically from some of the same people that we’ve been talking to who had diversity at various companies. Samir Husni: Is this now double-diversity? Or how do you view it? I mean, the gay community is already a minority, now are you doubling on the minority? Joe Landry: No, I don’t see it that way at all. I see it as creating content that’s relevant to a consumer segment that we didn’t have access to before. So, how Procter & Gamble would view it, I don’t know. I haven’t had a conversation with Procter & Gamble about double minorities, but there are diversity agencies that specialize in Black and Latinos. They might have a subset of LGBT, and it’s still viewed as LGBT, even though it’s not screaming out on the cover, while also hitting the Latino and African American audiences as well. Samir Husni: And why did you decide to go with print? Joe Landry: We specialize in print. Our core history is in print. We have The Advocate, Out, Plus; and The Advocate turned 50 last year. Out turned 25 and Plus is turning 20 this year; we’re having the 20th anniversary of Plus. So, we have a long history in print publications. And there’s also more credibility in print. If we just launched a website, I don’t know how we make an impact within that space the way we can in print. Samir Husni: Condé Nast has launched a website, Them, aimed at the LGBTQ community. Do you view that now as competition or because there is no print component it’s a different entity entirely? What’s the differentiation between Chill and Them? Joe Landry: There is no relationship to Chill. I think that having Condé Nast launch an LGBT product is a validation of the work that I’ve been doing for the last 25 years. I also know how difficult it is to sustain LGBT products and the market limitations to LGBT products, that’s why we have Out; why we have The Advocate; why we have Chill; why we have pride.com; and why we have Out Traveler. You sort of need to speak to each segment of the community in the voice in which they’re going to respond to. And I’m not sure that one site will have the scale that would be of interest to carry a Condé Nast title. Samir Husni: You are relaunching Out Traveler? Joe Landry: Yes, we are relaunching Out Traveler. In 2008, when the company was sold, the owners were very nervous about what was happening in 2008 and they folded the print publication. And Out Traveler has been an online destination. Under our new ownership we are relaunching Out Traveler in print in November. And I have been a big proponent for bringing Out Traveler back to print, so we’re very excited about that. Samir Husni: Through the 25 years that you’ve worked with those titles, you’ve seen your share of ups and downs. Now it seems you’ve reached a level of stabilization of the marketplace with your titles. What do you view as your biggest challenge as you look at 2019 and beyond? 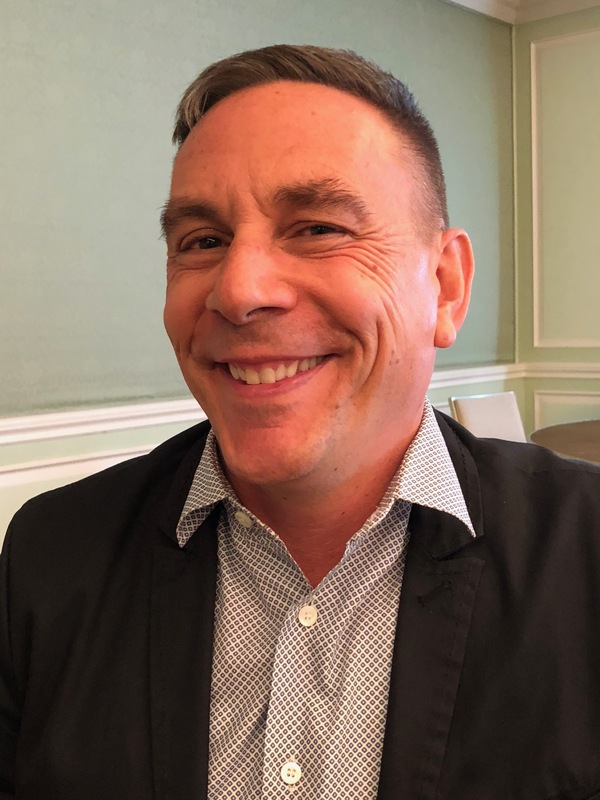 Joe Landry: It’s interesting that we’re having this conversation right now in the middle of June, because June is Pride month and it is our most successful month from an advertising revenue perspective in the history of the company, which is crazy. And we’re diversifying our offerings into creating assets for marketers. For example, H&M came to us and they wanted to launch a campaign for this segment in-store. So, they weren’t coming to us to buy media, they were coming to us for our expertise in the market, they were coming to us for our brand authenticity. And we actually created an entire campaign for them that’s in stores now. You can go to the H&M down the street; it’s called “Pride Out Loud” and it is a point of sale campaign, as well as a social campaign. We created custom video content for them . So, that’s sort of the area in which we’re expanding; we are taking our expertise to the marketplace and we are elevating the conversation with marketing partners to show them that if they are looking for authenticity, we know how to deliver that to them. So, not only are we delivering the media message, but we’re creating the message to deliver to our audience. Samir Husni: One of the things that I always say is that you can’t just be content providers, you have to be experience makers. With that in mind, how do you define content today? Joe Landry: Wow. Creating assets, whether it’s in print, in video, in social, or experiential, that are relevant to our audience. So, that’s the broad definition of content. And editorial is, of course, the most important area of creating content, but we’re also doing it on the marketing side with our partners. And a lot of our content is amplified through social influencers, so that’s another component to a lot of the programs that we do now. Not only do we create custom content, but we have the talent that we hire to create the custom content share the content on their own social platforms. Samir Husni: Do you feel more at ease today about the future of print than you felt, let’s say, five years ago? Joe Landry: No. I am never at ease. (Laughs) I am confident in the company. I am confident in our assets and I am confident that we will continue to deliver relevant messaging for our audiences, both from an editorial perspective and from an advertising perspective across platforms. But I’m sort of platform agnostic, I mean, I love magazines because that’s where I come from, but it’s really about where does the consumer want the content and the information. And that’s where I’m going to deliver it. So, I’m not beholden to any one platform. Samir Husni: Where are you making your money? Joe Landry: The most growth is coming from experiential’s. So, from a percentage perspective and revenue year over year, it’s crazy how much more we are making in experiential. Branded content, again, year over year, explosive growth. Digital banner ads are flat and print is down. Joe Landry: We are launching a brand new content studio called “Black Cat,” so, if you recall in 1967 the Black Cat riots preceded the Stonewall Riots and the folks from those riots who were arrested during those riots started a newsletter called “Pride,” Personal Rights In Defense and Education, which eventually became The Advocate. So, in homage to the history of The Advocate, we’re naming our brand new content studio Black Cat. 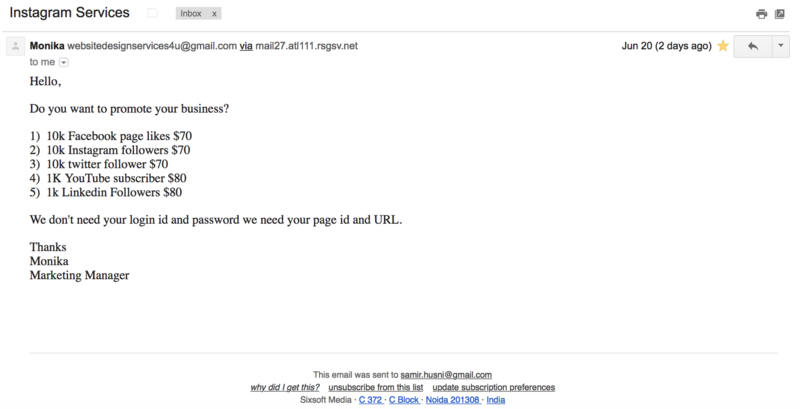 Samir Husni: When will it launch? Joe Landry: We are working on the press release currently. Our first project was with H&M, I talked about the H&M campaign. That was our first project. Joe Landry: Watching Netflix and eating popcorn. Joe Landry: Work. Email – too many emails. It’s crazy; it’s unsustainable the amount of emails that we have to process on a daily basis. You are currently browsing the Mr. Magazine blog archives for June, 2018.